In the late 1800’s, Hippolite d'Audiffret ("Audiffred"), a Frenchman who had been living in Mexico, reportedly walked to San Francisco from Veracruz due to the increasing French nationals unpopularity with native Mexican country men and women. Upon his arrival in the city, Hippolite d'Audiffret built a profitable business selling charcoal in Chinatown. The Audiffred Building was constructed for him in 1889 to presumably house his business. Over the years this corner building had many tales of survival that added to the fabric of its legacy. This history and it’s unusual architectural style led to the Audiffred Building being designated Landmark #7. To this day, it is one of the few surviving buildings on the waterfront. San Francisco had the busiest waterfront on the west coast with a harbor filled with ships, bustling commerce, and shops serving every maritime need. At the turn of the 19th century, the Audiffred Building’s first floor retail spaces were rented to a restaurant and three saloons. The Bulkhead Saloon was one of these tenants. In an attempt to stop the fires following the 1906 earthquake, the San Francisco Fire Department wanted to create a firebreak between the burning city and the wharfs. They blasted every other building with dynamite except the Ferry Building. As the tale is told, the fireman spared the Audiffred Building because they received an offer they couldn’t refuse. The very wise bartender at the Bulkhead saloon bribed the firemen with a keg of whiskey and a cart full of wine if they would spare the building. Needless to say, the building was saved. The Audiffred Building served as headquarters for the 1934 West Coast Waterfront strike that lasted eighty-three days when longshoreman in every west coast port walked out. The strike peaked with “Bloody Thursday,” a day when sailors Howard Sperry and Nick Bordoise were shot dead by police outside. A monument commemorates this tragedy at the corner of Steuart and Mission streets. With the decline of San Francisco's waterfront in the mid-twentieth century, the Seven Seas Club for homeless sailors moved into the building in 1946. Bohemian artists and writers including Elmer Bischoff, Howard Hack, Frank Lobdell, Hassel Smith, Martin Snipper, and Lawrence Ferlinghetti occupied lofts and studios on the two upper floors. The living spaces had no electricity and were condemned in 1955 as unsafe for living quarters. A fire from a gas main break gutted the building in 1978 leaving it scheduled for demolition. The building was saved by public demand. 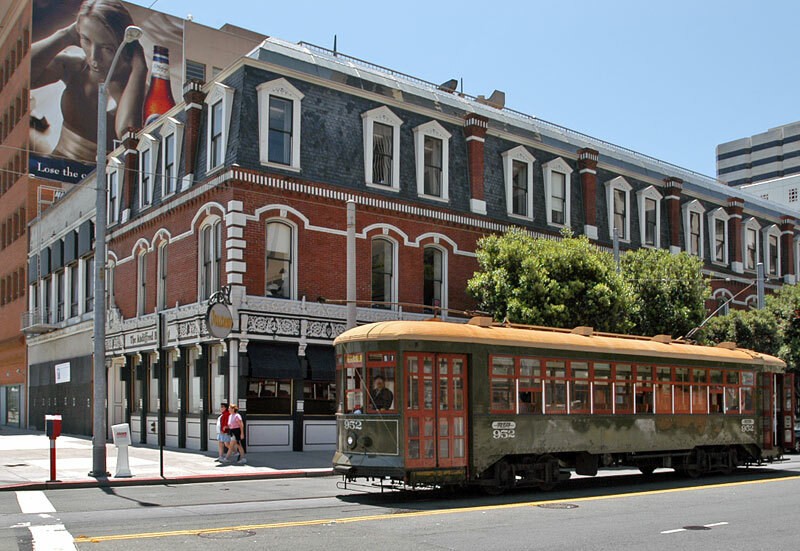 The Audiffred Building became the City of San Francisco's Landmark #7 and was placed on the National Register of Historic Places in May 1981. A domed penthouse was added in the reconstruction after the fire. The building was subsequently bought by real estate developer Dustan Mills. In 1983–1984 it was refurbished and repurposed into office space by William E. Cullen. It was restored over a two-year period, and then in 1991, after the removal of the Embarcadero Freeway, the handsome building again saw the light of day. Since 1993, the Audiffred Building has housed Boulevard restaurant. Across the U.S., home buyers are demonstrating less urgency than they have in recent years, according to an October market report from Redfin. While demand remains strong, the report found, over one-third of homes for sale nationwide had a price cut of more than 1%, with discounts on the rise compared to last year. The gap between homes’ listing prices and sales prices is widening in a number of markets. The California Association of Realtors, for instance, found that the state’s sales-to-list-price ratio hit its lowest point in 20 months in October. A large disparity between listing and sales prices can indicate that sellers are increasingly out of step with a changing market, and it may be time for a reality check—as well as discounts on listing prices. In a sales situation, buyers and sellers alike must keep as up to date as possible on market data and set realistic expectations. Sellers often err on the side of using obsolete comps to price their homes, which leads eventually to discounts in a cooling market. Buyers, on the other hand, must keep in mind that discounts don’t mean huge bargains, but rather increased negotiability. "We often see houses listed with the expectation of sellers that pricing has been continuing upward, and a lot of times, they price their homes by extrapolating continued upward market movement," said Paul Habibi, professor at the UCLA Ziman Center for Real Estate. "But once the market stalls out, those houses sit on the market for longer, there’s a scarcity of buyers, and lower bids. Sellers start to lower their asking prices or else accept offers below list." However, real estate analysts say, a decrease in sales-to-list-price ratios does not forebode a significant downturn. "If you look at the broader economy, the fundamentals are still strong," said Daryl Fairweather, chief economist with Redfin. "The GDP is growing, and unemployment is low. Sales prices are still growing. In order for it to be a real reason to worry, prices would have to start going negative." Still, it pays for both buyers and sellers to be armed with the most current information about the state of this slight cooldown in the U.S., and to know how to interpret and act on disparities between asking and sales prices. The hot Seattle real estate market seems to have reached a turning point, with the average home selling for 0.6% below listing price in October, the first time prices were below asking since 2014. "Prices have gone up so much recently in Seattle that buyers have reached a point where they’re saying they’re not going to accept these," Ms. Fairweather said. "And with mortgage interest rates going up, more people are thinking of renting instead of buying." Seattle is not the only market experiencing a slowdown in sales and sales prices. In Los Angeles, too, 23.8% of sellers sold their homes for below the listing price this September, while the median home price in Los Angeles County saw a 3.6% gain, the smallest in three years. "We’ve had double-digit annual price increases in several of the years after the recession," Mr. Habibi said. "Now we’re seeing the market start to slow down because the pace of annual increases is generally unsustainable at that rate." Third quarter market reports also reflected a cooling of home sales in Manhattan. The borough is experiencing its most significant slowdown in a decade, with sales declining by 11% compared to quarter three of last year, according to Stribling & Associates. As in Seattle and Los Angeles, this is leading to an increase in disparities between asking and sales prices. "On the whole, there is more negotiability, and an increase in inventory," said Elizabeth Ann Stribling-Kivlan, president of Stribling & Associates. "We had a real run, but we’re definitely seeing a slowdown. But I don’t think that’s a bad thing." Nationwide, home sales are decreasing, and property is lingering on the market for longer. But other real estate experts agree with Ms. Stribling-Kivlan that this does not presage a major economic downturn. Instead, they say, the trend represents a normalizing of the market after moving for several years at a frenetic pace. "There are consistent clues that we’re seeing a shift in the velocity of the market, and moving away from an extreme sellers market," said Javier Vivas, director of economic research for Realtor.com. "There’s some uncertainty that happens when you’re coming down from great heights. But those higher-priced, historically hot markets are really now getting more of that correction and moderation." Another challenge for luxury real estate in some areas is oversupply. In Manhattan, a construction boom of high-end condos has led developers to begin dropping their asking prices. The average price of a Manhattan apartment decreased 4% to $1.93 million in the third quarter of this year plus, there’s a seven-month supply of apartments, up from a five-month supply last year. But again, this data should not be interpreted as a sign of impending crisis. And the diversity of the market in New York means that what is true for one sector may not be the case for another. "New York is fragmented, with co-ops, condos, resales, and new development, as well as borough by borough," Ms. Stribling-Kivlan pointed out. "It’s been interesting to watch the very high end, which has had increased activity to some degree. For the very wealthy, there has been an incredible amount of wealth created in terms of the stock side of this economy. They may be buying for less money, but they’re seeing a good deal and taking advantage." One advantage buyers seem to have over sellers is their access to more current information about markets. "Sellers may be pricing based on comps that are months old. In a changing market, what your neighbor’s home sold for a few months ago may not be what you can sell for now," Ms. Fairweather said. "Meanwhile, buyers are looking at what’s currently on the market and really trying to get the best value." However, buyers may be vulnerable to a misunderstanding of what a slight slowing of the pace of the market means for them. They should not, experts caution, expect to land substantial bargains. "There’s a misconception that prices will decline at some point," Mr. Vivas said. "It can happen in extreme cases, but usually prices don’t decline in a growing economy. It’s about a deceleration in the pace of growth." And at the high end, he added, some investors may be sitting tight to see how they will be impacted by the changes to the U.S. tax code enacted at the beginning of 2018, which has placed tighter restrictions on the deductions wealthy homeowners can take for property taxes and mortgage interest. "The big wild card is the tax impact, especially at the end," Mr. Vivas said. "In tracking this entire year, the consensus is the impact [of the new tax code] is being buffered by the fact that people haven’t received their tax filings yet. We might see that come April and May, people think twice about where they put their money." Just as closely analyzing the most current data on home sales is crucial for buyers, sellers, too, must seek out the most up-to-date information to price their homes correctly. The current increase in disparities between asking and sales prices indicates that many sellers, though, are setting their home’s value according to an earlier, faster market. "Sellers notoriously overshoot fair values because of personal attachment to their place of residence," Mr. Habibi said. However, he cautioned, sellers cannot necessarily rely on agents to provide the best dollar value for their home, either: "Agents do the opposite. They under-list to sell quickly and move on to the next listing. One needs to look at the actual data and be as objective as possible." Studying the most current market data is critical to listing your home as closely as possible to what buyers will now realistically be willing to pay. Sellers should look at homes that have gone into contract in their area recently, taking into consideration asking and sales prices, and the amount of time those properties sat on the market. It’s also important to hire a seasoned broker who has experience selling in cooling markets. "They can take an analysis of the raw data and use it to justify what a good price guide would be," Ms. Stribling-Kivlan said. "They’ll also have an anecdotal idea of what people out there are looking for." Be prepared, too, for your home to attract fewer would-be buyers and to linger on the market for longer than it would have in the faster-paced market of previous years. "Buyers are now going to have more options, and there’s not as much urgency, and not as many multiple offers," Mr. Vivas said. "Be prepared for single-offer scenarios. Some properties will stay on the market longer, but they will sell. But the premium you were getting in 2016 is probably not going to be there in 2018 or 2019." All this may persuade those thinking of selling to put their plans on pause and wait to see if the market speeds up again. But you should figure more than just raw data into your calculus of whether now is the right time to sell. "Residential real estate is an emotional commodity. People see prices coming down and get a little hesitant," Ms. Stribling-Kivlan said. "But great fortunes are made in a changing market. Just because prices are down doesn’t mean you have to wait it out. Figure out what your personal and financial needs are." Real estate can fund your retirement—but brace yourself for lots of risk and rules. Self-directed individual retirement accounts allow people to diversify their investments into assets other than the traditional stocks, bonds and mutual funds that make up most retirement plans. Examples of alternative investments include real estate, precious metals and oil and gas holdings. The catch: The IRS requires a qualified trustee or custodian to administer the assets, such as handling transactions and managing paperwork and reports. So far, only about two dozen companies in the U.S. can act as custodians of self-directed IRAs. Bob Starks has been purchasing real estate for his IRA since 2009. “I do have some stocks and bonds, but 80% of my IRA is in real estate,” says Mr. Starks, a commercial real-estate agent in Duluth, Ga., who owns five rental houses and a small apartment building. He’s also flipped over 20 houses through his IRA. Since Mr. Starks is 71½ years old, he’s now required to take required minimum distributions of his retirement funds, so he’s tapping his rental income. Here are some things to consider when creating a real-estate IRA. Consult a tax professional or financial adviser for the finer points of self-directed plans. • Hire a property manager. The best way to ensure that you comply with applicable landlord-tenant laws and avoid prohibited transactions is to hire a third-party professional to manage the properties in your IRA. Expect to pay a commission equal to the first month’s rent and 6% to 10% of the monthly rent thereafter, says Mr. Starks. • Distribution options.Some investors take distributions from their real-estate IRAs “in kind,” by having the account administrator actually deed to them a percentage of the property, according to Jason Craig, president of the Entrust Group, a self-directed IRA administrator in Oakland, Calif. “For example, I can take out a 10% distribution and then re-register the asset so my IRA owns 90% and I personally own 10%,” he says. Gary Hutton's atelier along the bustle of Polk Street is an oasis of filtered light and elegant balance emitting an aura of omnipotent stability rooted in decades of experience and creative talent. As a self described "elder of design," Gary offers clients a creative experience distilled from a time when interiors were assembled with artistic craft and measured patience. In addition, Gary Hutton Design produces furnishings that whisper luxury through a marriage of design prowess and partnerships with master fabricators and craftspeople. Most of all though, it is Gary's affable personality and enthusiasm for the journey that gives his clientele the courage to leap into the unknown with him to create uniquely individual residences, always with yearning for la dolce vita. CaenLucier: How does the city of San Francisco influence and inspire you? Gary Hutton: Having grown up only an hour south of the city, San Francisco was always accessible and part of my family’s regular outings. So, the City was always part of my consciousness. What struck me most when I actually moved here in 1973 was the openness and acceptance of all sorts of crazy lives and points of view. The freedom to be one’s authentic self is an inspiration every day. CL: Describe the lasting impact of studying under Wayne Thiebaud, Robert Arnison, and Bill Wiley during your undergraduate years at UC Davis? GH: The faculty at UC Davis instilled in me an intellectual curiosity that stays with me to this day. Each of these artists strove in their own way to find a new or better avenue to do the things they did. Parameters were to be questioned and re-evaluated, sometimes kept, and sometimes thrown out. These incredible artists taught me to always look deeper. CL: How have your professional relationships helped your career? GH: In design school one day a professor said, “Look around the room. The people here will be the most important assets in your career”. While that didn’t exactly turn out to be true, the general principle is such. It is most true that the job of an interior designer cannot be accomplished alone. There are so many moving parts, from the realtor to the builder to the curtain maker. Each and every one is vital in making a project a success. It is also paramount to let these professionals do their jobs, as they usually know more about their part than you! CL: What has changed and what has stayed the same over your time as a designer? GH: In the many long years that I’ve been in this industry, from sample boy at Scalamandre while in school to my current status as one of the elders of Design in San Francisco, I have witnessed interior design go from an artistic craft-based business to one of corporate conglomerates facilitating a very real commoditization of thought. One only needs to take a cursory look to see that there is a very real lack of individuality. These large conglomerates are selling a “look” and the public is thoughtlessly eating it up. What remains the same is the dedication of real design professionals who look beyond the online trends and do great work regardless of style. CL: What advice would you offer the new crop of designers in San Francisco? GH: Step away from the computer! There is no program or VR in the world that will give you the sensation of sitting on a down filled, mohair velvet covered sofa. Nor is there a monitor in the world that can convey the exquisite luster of a bi-colored silk taffeta. The computer can be a useful tool, but it cannot deliver a sensual experience. If our interiors do not produce a sensual experience, we have failed. And remember that information is NOT knowledge. Experience creates knowledge. Get out into the world and learn. CL: What makes your satisfied with a project? How do you measure your success? GH: Design is problem solving, unlike art which is self-expression. This nugget of truth was beaten into us as students at CCA. It is my yardstick to measure success and satisfaction. If the myriads of problems that make up a project are resolved then I can take some satisfaction in that. Of course, a happy client at the end is very important, but invariably if the problems are solved the client IS happy. Sometimes the problem is perfecting the furniture plan to work with the client’s particular situation. Sometimes the problem is divining what the client really wants versus what they ask for. When one “gets it right” that is success. That is what motivates me every day. CL: Talk about the importance of your relationships with the fabricators that create your furniture designs? GH: In some ways being an interior designer is like being Jeff Koons. There is a conceptual whole that must be made real by a team that understands the nuance that differentiates this design from someone else’s. Designers, like Mr. Koons, seldom, if ever, actually do the physical work. I have been blessed to have developed a group of superior craftsmen and women who share that passion. To make something as minimal as my “A” Series tables requires craftsmanship that is extraordinary. I do believe that there is a Zen energy that lives in pieces that people have put their heart and soul into. This quiet energy of near perfection is what we strive for in every piece. It does take a village. CL: Your four decade relationship with art collector Chara Schreyer culminated in the 2016 publication, ART HOUSE. What benefits have you enjoyed during these years of patronage? What has this collaboration taught you? GH: How does one even begin to broach the subject of a 40 year collaboration? In a very real sense, we grew up together. Chara had not yet begun collecting in a serious way and I was just starting out on my own. We did many projects outside of those in the book. We explored together developing a mutual trust and a love of material invention. Most of the time it worked. Of course there were failures, but that trust never wavered. Understand please, that we didn’t always agree about specifics and to this day sometimes still don't, but we always agreed on the concept and what the final goals were. Chara has taught me that there is real value in trust as well as beauty. CL: Favorite restaurants? Locally, nationally, globally. GH: We are so lucky here in the Bay Area. We have choices that are the envy of the world, but I always go back to Zuni. I have been going there since the early 80’s when the kitchen was a Webber grill out in the alley behind the restaurant. I recently had the pleasure of eating at Upland in NYC. Wonderful food, beautiful place, and lively crowd. One felt immersed in New York City energy! In LA, I always go to Luques. It is exquisite food without being precious. I HATE tweezer food. It is a low-key environment that was actually one of Barbara Barry’s first restaurant interiors. In Paris, I love the newly re-done café at the Ritz. That room is my ideal of what Elegant French is all about and the food is good too! CL: What are you reading? GH: I am currently reading or have just finished four books that I am mad about! Stoned, Jewelry, Obsession and How Desire Shapes the World by Aja Raden. This is a gorgeous read. The language is beautiful and it opens the door to a new view of world history. This is my second time reading it and it is even better than the first! The Art Instinct Beauty Pleasure and Human Evolution by Denis Dutton. Not exactly an easy read, but this book has changed the way I see the world and the aesthetic choices that we make every day. The Gourmand’s Way: Six Americans in Paris and the Birth of a New Gastronomy by Justin Spring. Wildly interesting read about the overlap of Americans in Paris after WWll. Some are familiar (Childs, MFK Fisher, Toklas, Olney) and some are not (Liebling and Lichine), but all with a major impact on American food today. Fun read with tons of information. Hollywood by Charles Bukowski. I admit that I bought it because an artist I admire, John Register, did the cover art, and Martin Muller of Modernism Gallery gifted me with a signed print of it many years ago. You can see it at Bix too! A classic down and dirty story of the underbelly of LA told as only Bukowski could. Keep it away from the kids! Thank you Gary for your work on this feature. Working in a sun drenched and music filled Hayes Valley atelier, John Maniscalco Architecture embraces each client relationship as a unique opportunity to create an inspiring residence that elevates the natural qualities of light and space. Spring boarding from 'big building' design work at Gensler and other internationally recognized firms, Maniscalco founded his own studio with the guiding principle of rigorous design that creates a framework for and an interplay with California's spectacular site specific environments. Our time with John revealed a gentle giant who finds himself in the good fortune of a full roster of adventurous clients and projects that engage his unique talent for actualizing quiet design in the physical world. Caen Lucier: What early interest lead you to study architecture at school? John Maniscalco: As a young person, I was definitely a “maker” and had my hands in a lot of different expressive forms (drawing, writing, music), but was lucky enough to have a pivotal high school art teacher who took a moment - and it was just a moment - to give a gentle nudge and ask if I had ever considered studying architecture. The following day, I received an invitation to a summer architecture program at Harvard for high school students and so it began. Sitting in the Carpenter Center (Corbusier’s only US building! ), the discoveries that summer were pretty vast, and at the end of the program, my professor suggested I apply to the architecture program at Cornell, where I spent the next five years beginning the journey I continue today, but the realization that I could do design work and listen to music simultaneously really unlocked something for me. I realized that they fed off each other, and it’s a practice I keep to this day. CL: Talk about your experience of moving to San Francisco to help develop Gensler’s architecture department in the early 1990’s. JM: In 1989, I was recruited to come to San Francisco to join a small team of architects within the larger context of Gensler’s San Francisco office. Gensler was, and is, a remarkable place doing significant work all over the world. This team was charged with a new and concerted push toward building the architecture side of the practice in San Francisco. The team had members from some of the best firms in the country, so for a young architect, it was a wonderful environment to learn from some generous mentors. That little group spawned a solid group of now well-established SF firms. CL: How has your skill set designing high rise towers and institutional structures affected the residential work you do? JM: When you are designing a large structure, the scale alone demands a discipline and a rigor, both in conceptual design and execution. As we approach our residential work, we are trying to apply the same level of discipline. Our work tends to be precise in execution, and as a result, it’s unforgiving for a builder. A rigorous process, careful documentation, and strong communication are our most effective tools to communicate our intention to the craftsmen in the field. I’ve often described to clients that while residential work may seem simpler to design than a high-rise tower, it’s composed of a million unique conditions. It takes a lot of work and a special team to execute these projects. CL: How do your clients benefit from this aspect of your professional background? JM: Our work is defined by a very clean but warm architectural expression which places focus on the interplay of space and light. In many ways, the simplicity of the final details belies the complexity of the assemblies and the work that goes into making something that feels quiet and intuitive. While the clients may not be focused on the day to day design process or the rigor of our development and documentation, we’d like to think they see the benefit of that rigor as they live in the homes. I’ve been told it is a slow discovery process over time, and I enjoy the idea that all of the thought we put into the process slowly reveals itself. CL: Is there a common sensory feeling that your designs produce or that you aim to achieve? JM: We aim for our work to have a quiet quality of serenity. 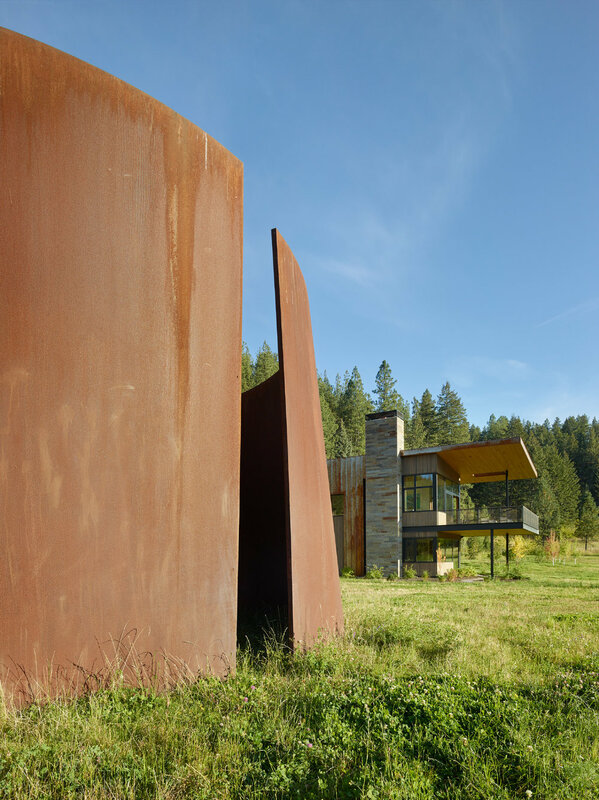 As architects in California, we are lucky enough to work in some of the most spectacular environments imaginable, and often our goal is to enhance the experience of these places by framing unexpected views, defining unusual spatial sequences, and encouraging users to see things in a different way. Ultimately, it becomes an exercise in creating a framework through which one can experience these things. In “getting out of the way,” rather than “look at me,” we combine a thoughtful interplay of space and light to achieve a calming effect. CL: What is it about your client relationships that is rewarding throughout the design process? CL: What was the pivot point that directed you towards exclusively working in the residential space? JM: While working for a large firm in SF on a competition for a new town center, some friends who had bought one of the early lofts in SOMA asked me to help them add a bedroom to their unit. They thought it would be a few walls and a door, but looking for any design opportunity available, I saw a series of movable translucent screens coupled with custom furniture pieces that formed flexible rooms, allowed light to penetrate, and provided them with storage they sorely lacked. They had no budget, so a friend and I built it for them. I had solved a problem they didn’t know they had and they were exceptionally grateful. They told me the work we had done changed their lives, and at that moment, I discovered how meaningful the personal client connection was for me. Really enjoy getting to know people, learning about their goals, their dreams for their home, and doing our best to exceed those expectations. CL: Tell us about how you developed your first San Francisco home in Cole Valley. JM: My wife, Mary, and I were renting in Cole Valley in 1997, about to be married, and looking for a home. As we searched, our limited budget pushed us further and further away into areas that we didn’t feel connected to. Beginning to lose hope, we stumbled upon a listing for a very small house on a steep block and pursued it. The current tenant would not let anyone in, so we wandered up to Tank Hill to get a sense of the house and property. With our youthful exuberance in full display, we decided that regardless of what was there, we could do something with it and bought it virtually sight unseen. We did a major project on it, jacking the house up two-stories and rebuilding all aspects of the house - doing much of the work ourselves on nights and weekends. It was the first house I did, the start of our practice, and it was our family home until 2011. CL: What personal inspiration do you draw from your current home in the city? JM: Our current home sits in a unique condition adjacent to the Presidio, and our goals for the project were shaped by the site in many ways. Like all of our work, we aimed for a kind of “quiet” architecture - spaces that deferred to the beauty of the surrounding environment, rather than try to compete with it. 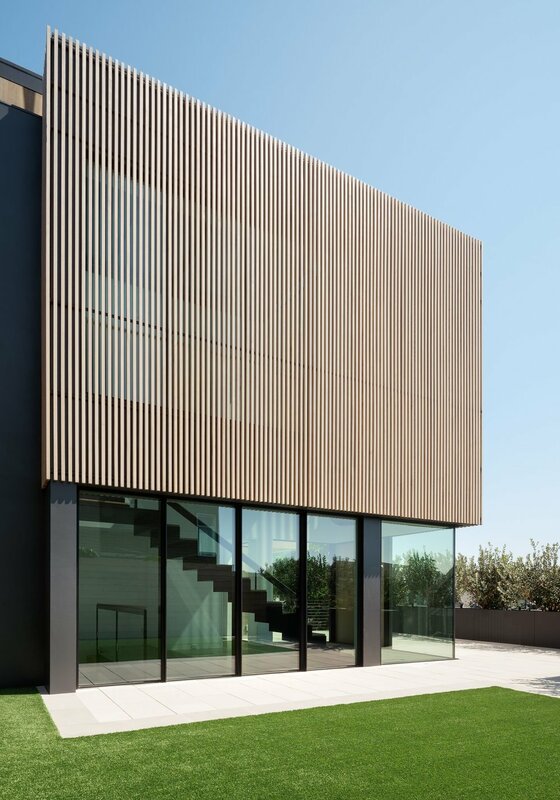 We quickly realized that its location afforded us the unique opportunity to create a country house in the city, and that is very much the way it feels. We have the benefit of connection to a great urban neighborhood, but a sense of living immersed in nature. 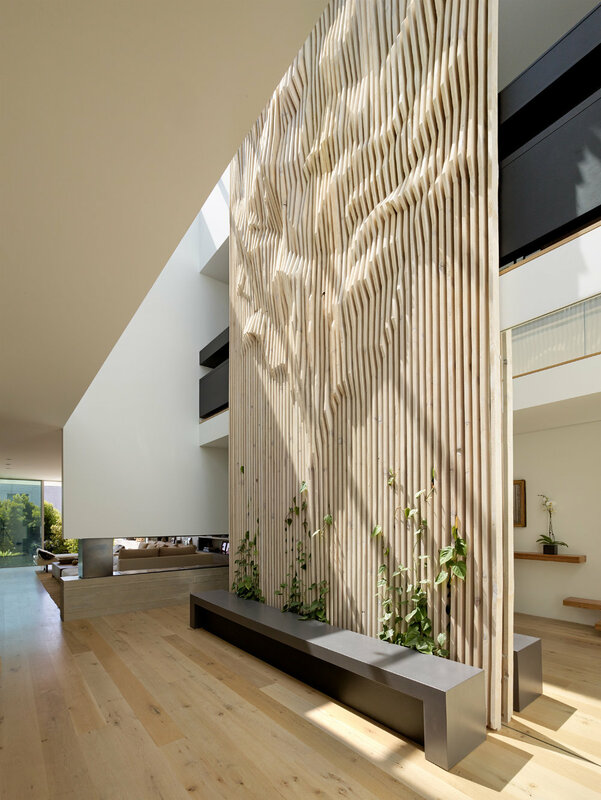 To reinforce that feeling of connectedness to nature, the house incorporates organic elements and materials throughout. The overall feeling is one of deep serenity, and that is very unique for an urban home. CL: There is an adage that architects are no good until they are fifty. Does your current viewpoint support that opinion? JM: Well, it’s an adage and certainly not a universal truth - there are many, many great architects under fifty - but I think the essence of the adage is that architecture can be a slow learning cycle. Using the phraseology of the tech world, it’s difficult as a young architect to “move fast and break things,” as the cycle from design to construction is long and the product is expensive. In my opinion, for any designer, the opportunity to build what you have designed - regardless of the scale - will forever inform your process. Finding those opportunities and endlessly iterating until you get an idea from your head into the world - that’s where the work and the reward lies for me. JM: My interest in seeing our ideas take physical form is central to our practice. The goal of our work is to create unique site-specific and client-specific solutions, and the tools we work with are space, materiality, and light. The architectural and construction process are all focused on an end result that combines those things in a remarkable way. CL: Over the arch of your career, how has technology changed the way you do your job? CL; What do you do to recharge your batteries? JM: Make as much music as possible, see as much music as possible, and spend time with my wonderful family. CL: Favorite restaurants in the city? CL: Travel destinations on your short list? Thank you, John for your work on this feature. They say it's better to be lucky than good, but what if you have the good fortune to be given both in equal measure. Matthew Millman was smitten by photography from his years of schooling and landed early on at the top of Los Angeles' photography community benefiting from the guidance of Tim Street-Porter. 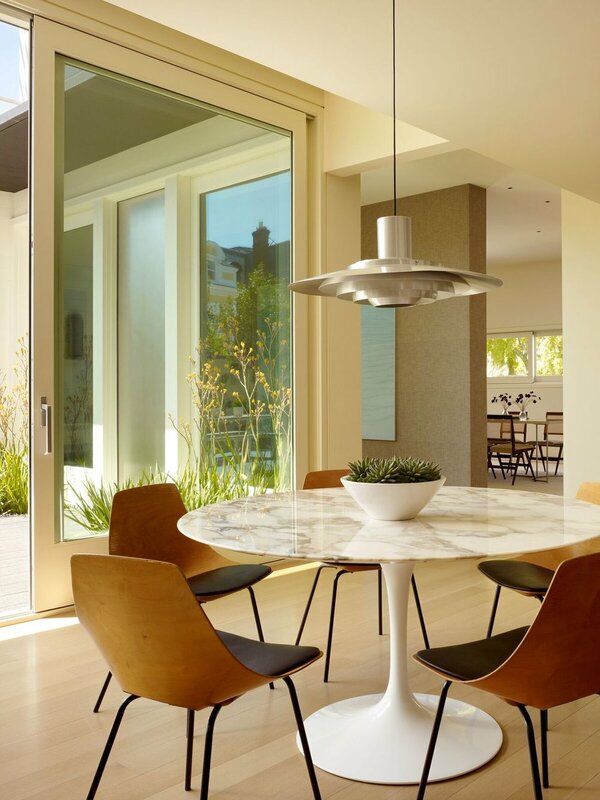 Subsequent commissions from recognized interior designers and architects offered Millman the opportunity to train his eye and hone his skill in some of California's most iconic homes. Today his name is synonymous with the striking images we see in the world's top shelter magazines and design related monographs. The patience and skill he employs to tap into the essence of the designers hand transforms the fine line between dreams and reality. We recently sat down with Matthew and found a man confident in his craft, reflective on what the years have taught him, and still filled with the youthful passion for the next job. Joseph Lucier: What drew you to the magic of photography as a life-long passion? Matthew Millman: It really was love at first click. I started photographing in high school and have been actively photographing ever since. I have been a professional photographer for 25 years. Back then, and to this day, I have always loved how a well crafted photograph can tell a powerful and immediate visual story. JL: Who were your mentors early in your career and how did they shape you as a professional? MM: Three photographers, whom I worked for early on, really shaped my career. Tim Street-Porter showed me the art of photographic storytelling. 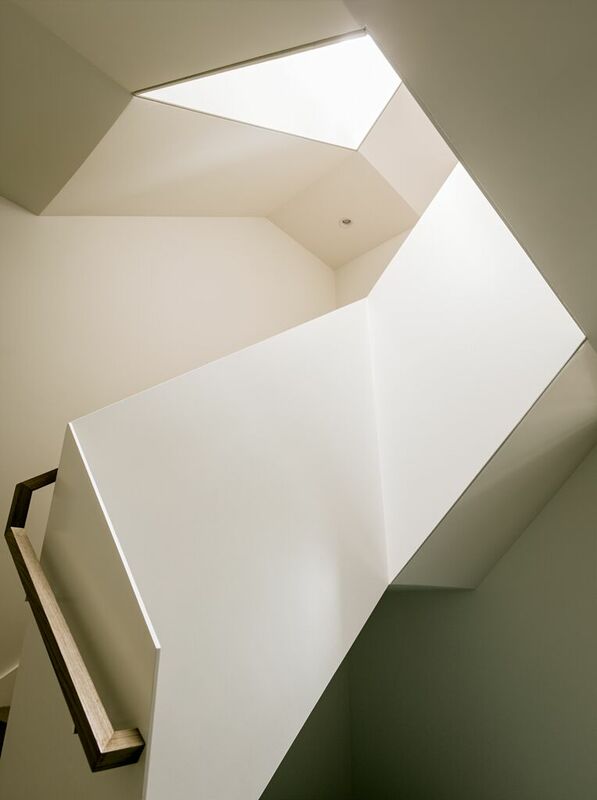 Grant Mudford taught me about rigor and how photography can reveal an architect’s intent. Richard Barnes helped me to think of design photography as art photography. In addition, so many architects and designers, such as Joshua Aidlin, Paul Wiseman, and Orlando Diaz-Azcuy, have given me daily lessons in architecture and design. JL: When photographing architecture, talk about the importance of light in the composition. MM: Light is everything in photography. But even more important, light is essential to us as people. It is how we experience so much of our world. So being attuned to light as I photograph is critical in trying to capture the most meaningful aspects of a project and a designer’s intent. I spend every minute of every shoot day following the path of the sun and tracking light throughout a project, looking for moments where light reveals form, infuses emotional qualities into a project, such as warmth, or creates tension in space. JL: What is your process of identifying the essence of a home and its interiors prior to a photo shoot? MM: When I come into a project, I know very little about it. My first impressions and initial sense of wonder are very helpful in starting to identify the best shots. Much of the time, the parts of a project that I am first wowed by end up being the spots for the best shots. I try to maintain that naïve joy and exploration throughout the process of photographing a project. It is great to walk through a project before the actual shoot day to start to develop an understanding for the project. If that is not possible, I start a shoot day by trying to walk every inch of a project and freshly look at everything before we dive in. At the same time, the depth and subtly of a project can only be experienced over time. So, throughout a shoot day, I am always searching for new aspects or surprises in a home. Until the sun sets and the shoot is over, it is a constant exploration to understand more about a project, the designer’s intent, and the best ways to represent it. JL: What photographers do you most admire? MM: Aleksandr Rodchenko. I didn’t know it at the time, but I think one of the reasons I always loved Rodchenko’s photos is that he was also a graphic designer. I am a formalist and Rodchenko’s images are so solidly monolithically composed. The work of Robert Maplethorpe really impacted me as a young photographer. His sense of drama and high style helped me see photographs as more than documents. I love Edward Weston for the surprise contained in every one of his images. Never formulaic, never stale, Edward’s passion for the story in an image above the structure of an image really resonates with me. Hiroshi Sugimoto. I love how Sugimoto’s photos are about something but really about another thing altogether. His ability to make a pretty straight forward image into an much deeper conceptual conversation is inspiring, I hope to simplify my images down to that level of complexity one day. JL: How have you seen the shelter publication industry change over the years? MM: Since I started, the primary change in shelter magazines has been to print design stories that are more reflective of how people live and to photograph these stories in more authentic ways. The high visual drama and opulent wealth seen in design publications two decades ago lead to a revolt seen in magazines like Dwell. The new era of design stories focus on homes that people can more easily relate to or to use as inspiration for improving their own homes. The photographic style of storytelling drifted from heavy lighting to only using available natural light and including people more naturally or candidly in the shots. 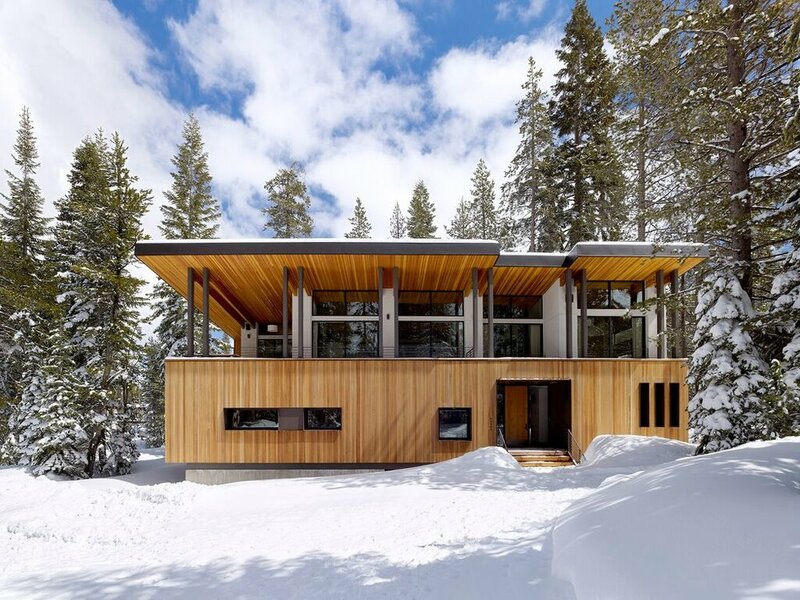 For me, personally, I like that there are more ways to tell design stories and more focus on the humanity in a home to go along with the impressive structure of the house. JL: Did the presentation of homes change at Architectural Digest when longtime editor Paige Rense Noland stepped down and Margaret Russell took the helm? MM: Architectural Digest had become stale toward the end of Paige Rense’s editorship. Margaret Russell brought her fresh crisp daylight washed style from Elle Décor to AD. For a while, it made a big difference but, oddly, the magazine drifted back towards the Paige Rense days. Now, with Amy Astley at the helm, AD feels much more contemporary and fashionable. The stories are looser and more youthful. It will be exciting to see where Amy takes the magazine. JL: Do you find any current magazines showcasing photography in a new and exciting way? MM: Cultured, Gallerie, Disegno, Fiera, and Design LA. JL: Talk about the process of working with Chara Schreyer on the monograph showcasing her art collection and homes in ART HOUSE. 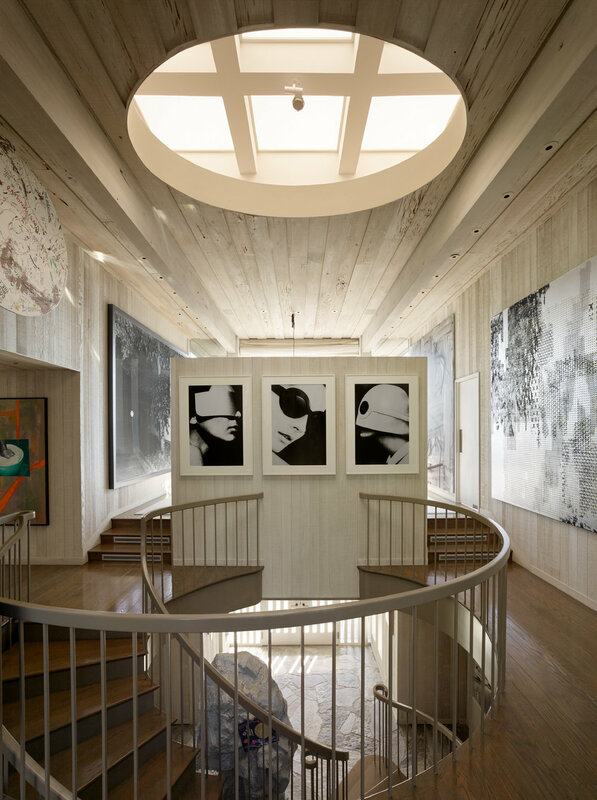 MM: I met Chara Schreyer through interior designer Gary Hutton about a decade ago and I have been photographing Chara Schreyer’s homes and extensive art collection ever since. Chara, Gary, and my work together culminated in the book, Art House (Assouline, 2016). Chara’s homes are more like private museums and, as such, require a different more restrained and contemplative photographic approach then other homes. Chara’s art collection is exceptionally curated and very personal. The collection has really pushed my photography to be more creative and less literal. The freedom and access Chara afforded me has allowed me to experiment in ways impossible on normal shoots. The result has been one of the most artistically meaningful experiences of my career. I think the book Art House reflects the depth and intimacy of the process. JL: If you weren’t a photographer, what would you be doing professionally? JL: Top three items on you bucket list? MM: In my hood… Chez Panise Café and Cheese Board. Beyond... Bamboo in Hawaii, Versailles in LA, The Kitchen in Jackson Hole and Hartwood in Tulum, MX. JL: What are you reading? MM: Six Four by Hideo Yokoyama. Thank you, Matthew for your work on this feature. 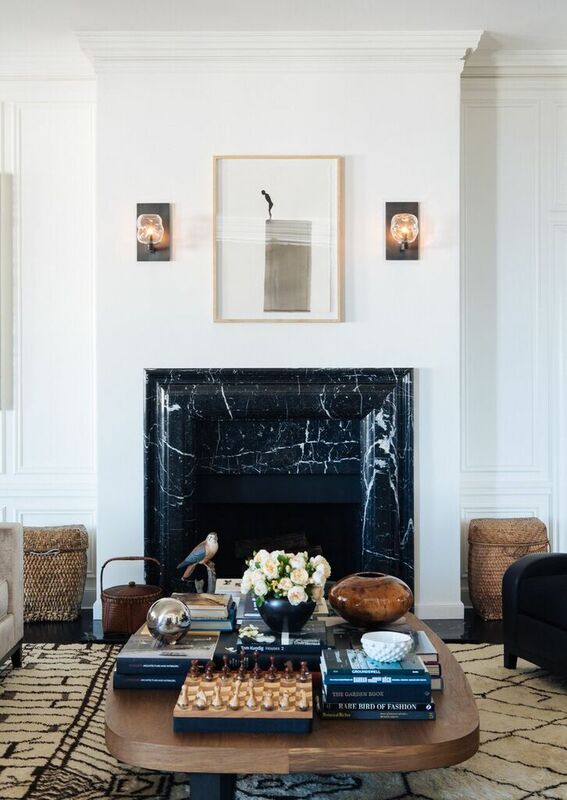 Operating from an atelier along San Francisco's historic Jackson Square district, David Kensington creates deigns that speak to a bygone era of skilled craftsmanship and luxurious materials. While David's hand has many facets, it is his work in the traditional elements of classicism where he truly shines. 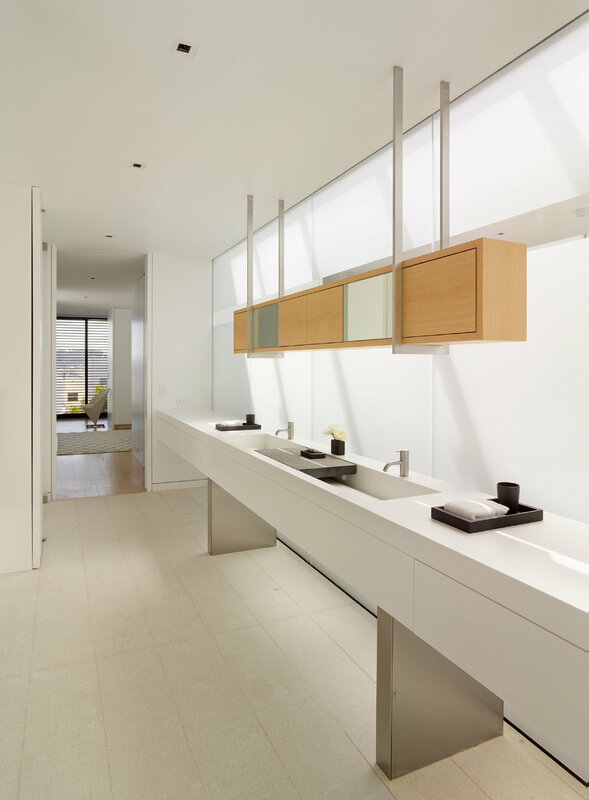 Putting his mark down on the city's design scene with his reinterpretation of the penthouse apartment in Conrad Muessdorffer's iconic 2006 Washington Street, David launched a career that integrates contemporary design with a sensitivity towards preservation. A current project has taken him to Commonwealth Avenue in Boston's Back Bay. The stately residence is a 20,000 sqft. 1865 brownstone, originally designed for the Ames Family. The home is in the French Beaux-Arts style made popular under Napoleon III direction of Georges-Eugene Haussmann's renovation of much of Paris . We recently caught up with David to learn more about what makes this design icon tick. Joseph Lucier: How did your interest in interior design begin? David Kensington: My interest in architecture, interior design and landscape design began as a child through my family’s eyes. While my immediate family had a fascination with grand scaled period homes from 1890-1930, my extended family was passionate about modernism. My aunt and uncle hired Phillip Johnson to design their home on Lake Minnetonka. Years later they asked him to add a guest house to the property. He refused saying the entire design is perfect the way it is, but if you insist on moving forward I would recommend a young talent name Frank Gehry. They hired him and he built a guest house into a bluff overlooking the lake, as such invisible from the main property. My family's strong interest in art, architecture and design extended to endowments to art museums and continued into the development of the Walker Art Center Sculpture garden. I traveled extensively with museum groups throughout the US, Europe, and south America to explore great private estates, art and furniture collections. I continue to do so to this day to train the eye to see the beauty of design in all of its many forms. JL: How has your design aesthetic developed over the years? DK: I continue to refine my designs to the basics of scale and symmetry. I always begin with cleaning up the architecture to have a cohesive design vocabulary and then add the layers of design and decoration to enhance the overall experience. I used to design a room so it felt complete as you looked into it. Today, I understand to use restraint and acknowledge a room is not complete until it is being used and enjoyed by the family and guests. JL: Discuss the importance of art and antiques in your interiors. DK: Art is very important to add a spot of color and fashion to a beautifully refined interior. Beautifully designed and crafted antique furniture made of exquisite materials is the sculpture of the room. It should be used judiciously and celebrated as a masterpiece of old world craftsmanship. JL: Which dealers at the SFFAAS attract you and why? DK: Mallet Antiques for the breadth of knowledge of fine antiques and modern classics. JL: You and Benjamin Steinitz are collaborating on a project in Boston. Talk a little about your professional relationship and the project. DK: I began buying European antiques over twenty years ago. I worked with Bernard Steinitz, Benjamin’s father, way back in the day. He had one of the most impressive of all the high-end Parisian antiques dealers. Always the best of the best with Benjamin continuing the tradition today. Benjamin is a first-rate dealer and a wonderful collaborator when it comes to putting a truly impressive collection of art and antiques together. We are currently sourcing 18th century painted wood paneled rooms to be reinstalled in a few very special rooms in our clients 1865 Boston home along with crystal chandeliers and innumerable objects de arts. JL: What are your favorite materials for creating luxurious interiors? DK: No mater modern or traditional, it is important to always use the best natural materials. Real limestone plaster ceilings and walls, real wood and stone floors, custom upholstery with kiln dried and doweled hardwood frames built up with natural horsehair and cotton batting all covered in a high quality natural silk can make all the difference. Custom draperies and passementarie, again done in either a fresh modern approach or more traditional manner, always elevate the design integrity of any interior. JL: What particular architectural style speaks to your personal taste? DK: I choose to live in a mid-century modern tree house on Buena Vista Park, yet I work on many classically inspired historical renovations. I believe that classicism is the foundation of all great architecture, be it modern or traditional, as long as the guiding principles of site, scale and symmetry are followed. I love the classic simplicity of the Mies van Der Roe's Farnsworth house as much as I am drawn to the great Greek and Roman monuments and the Venetian farm houses of Palladio. JL: What do you do to recharge your batteries? JL: What are you currently reading? Many thanks to David Kensington and Whitney Robinson for working with me on this feature! Call it the mortgage merry-go-round: Parents refinance their home to fund the full cost of their son or daughter’s desired home. This allows the child to compete as a desirable all-cash buyer in an area where bidding wars are common. Then, when the purchase closes, the child refinances the new home and pays the parents back. Sellers often prefer cash because transactions can close quickly without making a deal contingent on financing. This is particularly important in bidding wars: If the purchase price is above the list price and appraised value, it may be tricky to get a loan, said Kas Divband, a Washington, D.C., agent with Redfin. Mr. Divband said he has worked on six deals where the buyer was relying on a parent’s mortgage to make an all-cash offer. The strategy is also evidence of how difficult it is for millennials getting into the housing market for starter homes, where competition is the fiercest. Even those with high-paying jobs and hefty down payments are losing out, particularly in cities with strong job markets for young people, such as Washington, Boston and Seattle, said Nela Richardson, Redfin’s chief economist. Redfin agent Cody Coffman recently worked with a 20-something Olympic athlete who paid $2.8 million for his first home, a newly built five-bedroom house in Los Angeles’s Venice neighborhood that was listed for $2.758 million. His parents took out a home-equity line of credit, or Heloc, to give him the full purchase price, allowing him to beat out four other offers. “Educating him on how to talk to his parents was probably the most difficult part,” Mr. Coffman said, since it wasn’t every day their son asked for $2 million. The athlete worked with a loan officer who vetted him before the purchase and also handled his parent’s line of credit. This move will not work for everyone. Parents must have enough equity in their homes to make a refinance worth it, and the same goes for the child’s new home. Both parties must be willing to take on the added hassle and cost of two loans. And mixing family and money is often fraught. • Loan options. Parents have several options for using the equity in their homes, including a cash-out refinance, which allows borrowers to refinance an existing mortgage plus an additional amount and take the difference out in cash; a home-equity loan, which is a loan against the value of a home, including a second mortgage; or a Heloc, which works like a credit card, allowing homeowners to qualify ahead of time and withdraw funds when the child is ready to close. • Finance fail. The biggest risk is that children won’t qualify for a loan—or as big a loan as expected—especially if they pay above the asking price or the market cools. To help avoid this outcome, let the lender know your plans ahead of time, Mr. Divband said. It may be more convenient to use one loan officer for both transactions. Note that some lenders want buyers to live in a home for three to six months before refinancing. An alternative is a delayed-financing mortgage, which allows a buyer to purchase the home in cash and refinance the day after closing for up to 80% of the value of the home, said Peter Lucia, a production manager at Brecksville, Ohio-based CrossCountry Mortgage. • Think like a lender. Parents should do the same kind of due diligence as a lender, including vetting children’s finances. Tim Manni, a mortgage expert with NerdWallet, a San Francisco-based personal-finance company, recommends working with a lawyer to draw up a family loan agreement setting out repayment terms and other stipulations. Buyers may also want to get a home inspection. • Consider the costs. A purchase mortgage or a refinance would typically cost about 2% of the loan value, Mr. Lucia said. Most closing costs would apply to two loans instead of one. Luckily, prepayment penalties are rare on primary-residence loans, though they might apply on investment properties, Mr. Lucia said. • Tax tips. Givers must report gifts of more than $14,000 per person per year under federal tax law, though an individual must pay taxes only after exceeding the $5.49 million gift-tax exemption, which is a lifetime limit. Interest on the first $1 million of a purchase mortgage is tax deductible, versus only the first $100,000 on a home-equity loan or line of credit. Both parties should consult a tax professional. Brian Koch, landscape architect and owner of Terra Ferma Landscapes, is a people person. It is with this passion for truly connecting with his clients that allows Brian to skillfully bring their gardens to life and set the stage for a family and its surrounding environs to grow together. It had been a while since I had seen Brian and I was amazed that he has kept his unbridled zest for life alive through the extensive growth of his bustling business spanning the San Francisco bay area and beyond. While his projects are a treat for the senses, it is his spirit that always comes through in the end. Joseph Lucier: What inspired you to go into landscape design and architecture? Brian Koch: As a young boy, I would spend countless hours playing in my parents back yard “Dirt” pile, creating miniature landscapes, paths, and water features for my matchbox cars and figures. Later in life as a young high schooler while working on a ranch property in Mendocino, my passion for creative landscape design re-surfaced. Only this time, using tractors and hand tools, I was able to work with the land and shape it into real life paths and garden spaces. After that, I was hooked! My most pivotal educational experience was at Filoli, where I interned after college. With a degree in Horticulture from University of Vermont, I was so fortunate to work in the Bay Area’s premiere historical gardens. What I learned through the time I spent working there is something that I keep with me every day in my work for my clients today. JL: Which landscape architects do you most admire? BK: I admire two landscape architects – one present day and one from the past. For the past, it has to be Tommy Church. He understood life in the Bay Area and was a visionary for western gardens and design. He reshaped how, when, and where people use their gardens. For example, he understood folks gravitate towards the mature stately oaks in the afternoon, sipping iced tea and watching the sun go down. He figured out people and the way they want to use their gardens before they figured it out themselves. My present day mentor is Andrea Cochran in San Francisco. One would assume she is my mentor for her amazing designs, but I admire her for her knowledge of plants and their environment. You can have an incredible design, but if you don’t know your plants and you don’t specify the right one for the right location, the design impact will not be fully realized. Landscape architecture only works if the plants are in harmony with the site, the environment, and client’s tastes. Andie would always take her time to understand what environment plants do best in, why they thrive, and would they work for that particular site. "You can have an incredible design, but if you don’t know your plants and you don’t specify the right one for the right location, the design impact will not be fully realized. " JL: What new design trends are you excited to integrate into your work? BK: Trends and styles are always changing and evolving. We are in the thick of “Transitional” appeal right now, and although we are digging it, I am exploring some classic garden styles and elements –secret garden spaces, espaliered Fruit Trees, and clean lines and layering. In addition, we are trying to tap into what makes our clients content. Our gardens and spaces are intended to evoke feelings of calmness, by being cozy and carrying genuine charm. JL: What is the best way to gauge a client’s personality before starting a project? BK: I try not to pre-judge any client, but instead get to know them through a series of inquiries. I always want to know more about my clients’ roots – how and where they grew up?, do they have memories of their childhood?, or do they have memories from a great trip or experience that has shaped their life? Eventually the questions lead towards what appeals to them most about their garden or property and how they see themselves using or experiencing it. JL: How do you balance sustainability with a client’s desire for a particular garden style? BK: This takes work!! In some cases, we need to educate our clients when it comes to sustainability. You have to be a good listener and take the time to inform clients of what you have learned and experiences you have been through. By reviewing your experiences with plant palettes and material choices at an early stage of the design process, you can begin to set the stage for overall style and gauge what clients really want. If we need to, we guide clients into alternate plants or garden materials and elements that are both fitting and appropriate for the environment and site. There is often compromise when it comes to sustainability, and compromise takes time, education, and lots of back and forth discussions! BK: Any project where our team is invited by the client to view an undeveloped property BEFORE hiring an architect. Landscape architects are a bit undervalued about what we can bring to a project, especially before the project begins. We have an inherent skill to locate a home in just the right spot with all the right orientations that can make an impactful difference in the home’s overall design and outcome. We can minimize negative impact to the site and preserve the key elements that might be overlooked by others. I feel it is our connection with the land, natural features, and existing trees and plants that gives us added value to any project. We constantly work hard to connect with a site, to understand where its strengths lie and where weaknesses exist, so we can create opportunities to change our clients’ lives for the better with a design they will love now and in the future. JL: Where do you find inspiration? BK: Inspiration comes to me at all times and places. I love to travel and observe elements of the land and landscape in other countries AND PLACES. I travel often to get away from the day to day operations of running a company, and find inspiration when my mind is not occupied with other thoughts. In addition to traveling, I get inspiration from exercise. Exercise clears my mind allowing me to envision the various projects we are working on and decipher the right design layout or option. JL: What is your favorite part of the work you do? BK: The best and exciting part of what I do is my clients. My creativity flows from the relationship I build with my clients and the site. I love asking the tough and important questions and digging deep into understanding what makes them content. If we can design and build towards that happy place, we are successful. "We have an inherent skill to locate a home in just the right spot with all the right orientations that can make an impactful difference in the home’s overall design and outcome." JL: How do you completely unwind? BK: I head up to family property in Mendocino County. It’s so remote, there’s no cell service or electricity, and the water comes out of gravity fed natural springs. Once the Bud-Light has been cracked, boots are up, and the sounds of total remote nature – that’s when I know I’m completely unwound! JL: If you hadn't become a designer, which career would you have pursued? BK: Probably a Pilot. I fight with my kids for the window seat. I love gazing out at the landscape below and trying to figure out how it was shaped and how it all pieces together. JL: What’s your favorite recipe? BK: It would have to be my slow cooked Ribs. Source St Louis Style ribs, peel the membrane, coat it in French’s mustard, then sprinkle Strawberry Hill Rub from Kansas City Missouri and slow cook for 7-8 hours at 225 Degrees max! Spray Cranberry Juice every 30 minutes. Eat them right away – so good!! JL: Would you rather shop new or vintage? JL: Favorite restaurant in your neighborhood? Thank you BKJ for your work on this feature! The top-floor unit at 1940 Broadwayin Pacific Heights is on offer for a staggering $8.2 million, a sum liable to give house hunters a touch of vertigo even before they ascend to the penthouse level. 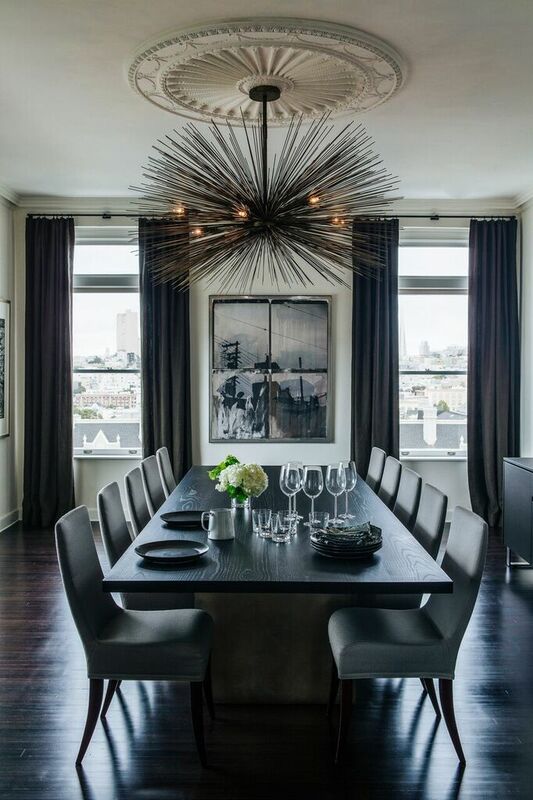 “It’s only a penthouse if it’s the only unit on the top floor,” realtor Joseph Lucier tells Curbed SF, insisting that while some people will try to pass off any tip-top home as a penthouse that this one is the real deal for sticklers. Bos’ name adorns the gorgeous George A. Pos Apartments on Green Street in Russian Hill, a building so charming that it even earned the nickname “Paris Block” for the mini-hood surrounding around it. But, oddly enough, despite being named for Bos, it was actually Grace Cathedral architect Lewis Hobart who designed that one. Go figure. But the building at 1940 Broadway is probably his most visible contribution to the city these days. Lucier notes the extra classy portico entrance, carved plaster ceiling in the lobby, and classic black and white marble floor. 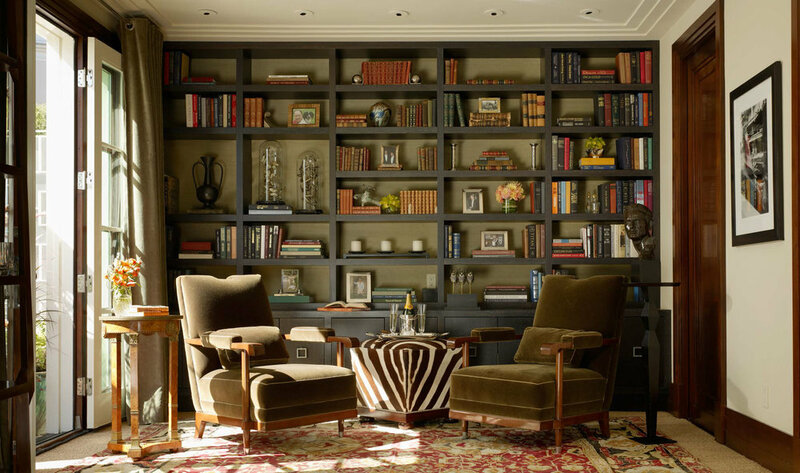 Speaking of class, the penthouse itself has “annexed part of the living room” to serve as a library, but although the ad talks up its wood-paneled appeal there aren’t presently any photos of it, which seems like a loss. But we do get to scope out the picture-frame moldings. HOAs come to $2,397/month. And this is a co-op, so interested buyers would have to be accepted by the board. In other words, tacky high bidders need not apply. San Francisco's luxury real estate market is the toast of international markets with an ocean of tech money coursing through the veins of this reinvented gold rush town. Enjoy my "Top 10" sound bites and market facts on our white hot luxury market. 1. The estate of venture capitalist Tom Perkins has gone two for two with Sotheby's in the past few months. On the heels of the estate's $13M Millennium Tower penthouse sale to technology veteran, Craig Ramsey, Sotheby's closed Perkins 1928 Julia Morgan Belvedere estate to an undisclosed buyer this week for $14.46M. 2. Developer Trumark Urban hit the bulls eye in San Francisco's mature luxury market cycle with over 85% of this 76-unit project sold at Pacific Heights newest luxury address, The Pacific at 2121 Webster Street. 3. Meg Whitman's son is trying his hand at luxury spec home development after purchasing Billy Getty's home at 2900 Vallejo Street for $12.5M in 2015. He will test the rarefied air of the spec market at over $20M when this Sutro Architects project comes to market later this year. 4. Jay Paul's uber-luxe 181 Fremont tops the high end market with a pre-sale contract of over $4400 sqft for unit 68B, a 3000 sqft half floor atop San Francisco's most exclusive residential club. 5. Developer Grosvernor is developing the darling of the urban infill condominium projects with Glenn Rescalvo of Handel architects. 240 Pacific will deliver 33 boutique units in San Francisco's historic Jackson Square in early 2018. Get in line! 6. Pacific Avenue has been renamed "Fixer Row" with three grand dames in need of new life closing in the last 30 days for over $10M. 3060 Pacific at $10.25M, 3383 Pacific at $10.225M, and 3515 Pacific at $10.35M. High end contractors raised a collective glass of champagne. 7. 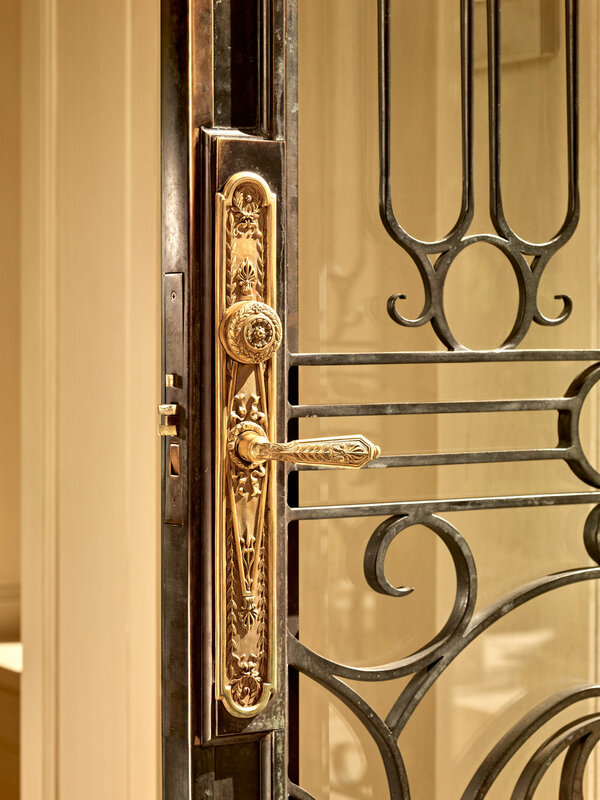 Sotheby's is representing San Francisco's most expensive house ever listed at $40,000,000. Call for more details on this Gold coast home located at 2712 Broadway. 8. A rare sale of three merged units at Joseph Eichler's 1963 Russian Hill tower, The Summit, closed for $6.87M through Sotheby's. In competitive bidding, San Francisco architect Geddes Ulinskas won the commission for this dream project. 9. Family members of 1750 Taylor's penthouse owner are haplessly seeking over $30M in the city's "no inventory" penthouse market. No takers after six months of private showings. 10. Market bubble or not, we live in the most beautiful city in the world. You can take that to the bank. Amidst the current South of Market towering development boom, sits a charming historic building along the edge of Folsom and Fremont Streets. 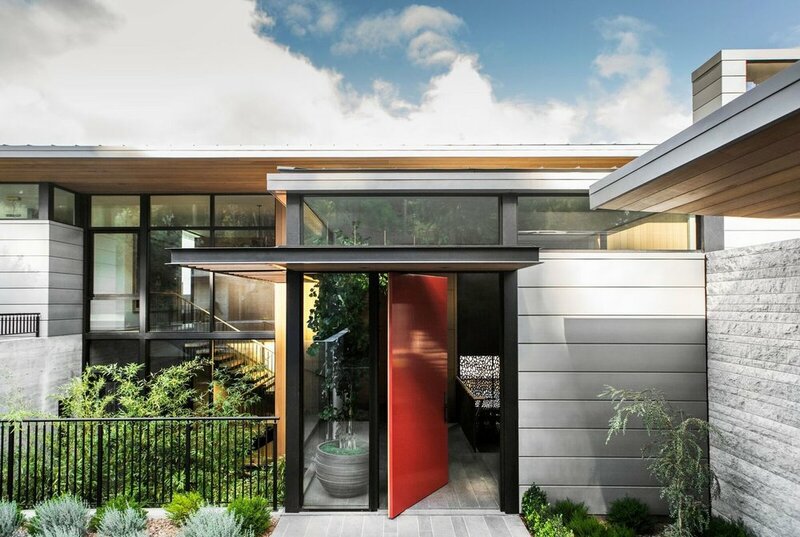 From this unique vantage point, Brooks Walker of Walker Warner Architects designs gracious residences with the knowing hand of a native San Franciscan steeped in the work of Bay Area design icons, William Wurster and Joseph Esherick. Inspired by the honest and direct approach to design and construction that these two men brought to our unique topography, I found in Brooks a man who who passionately strives for an understanding of context as a universal principle to best offer his clients an inspirational framework to enhance and define their daily lives. Joseph Lucier: You were fortunate to grow up in a family that engaged well-known architects to design their family and vacation homes. How did growing up with these homes shape your viewpoint as an architect? Brooks Walker: Frank Lloyd Wright designed a home in Carmel for my great grandmother after WWII. As a young child I was awed by the placement of the structure, perched on tide pool rocks above the ocean. The spaces were unlike any home I had experienced….perhaps this is what inspired my early interest in building and architecture. In that same timeframe, I was also fortunate to spend several Thanksgivings at the Gregory Farm House designed by William Wurster during the late 1930’s. This iconic ranch house left a lasting impression with its California ranch vernacular forms and rustic simplicity. JL: You have an affinity for modernist architecture, particularly William Wurster. What is it about his work that attracts you? BW: I love his honest and direct approach to design and construction. The timeless quality of his work is elegant and enduring, yet humble. JL: You reimagined a William Wurster house on Pacific Avenue. What was the experience like reimagining one of your idols original design? 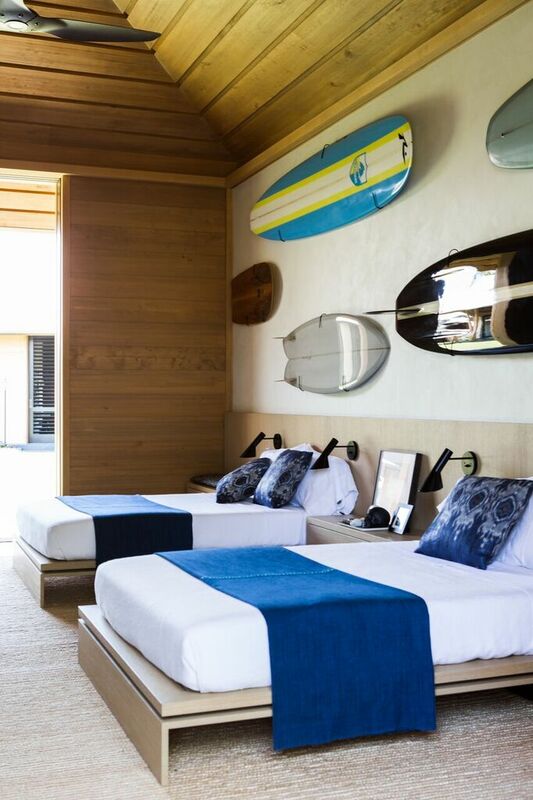 "We opened up the compartmentalized rooms and added a new master suite above the living room. I think Wurster would have approved." JL: Your San Francisco home comes with an architectural pedigree from George Kelham's original design for himself and a mid century redesign by Joseph Esherick for Kelham's son. Did the pedigree of the home encourage you in your decision to purchase the property? BW: The pedigree was interesting, but not material in our decision. Our interest in the home was all about the south facing garden, the flow of natural light, the large rooms with high ceilings, and the classic mid-century, over-scaled, double hung windows that Esherick incorporated in his radical redesign of Kelham’s original Tudor structure. JL: You recently finished your family’s home in San Francisco. What was it like being your own client? BW: It was incredibly rewarding, but stressful. My perfectionist tendencies were hard to restrain when dealing with a 102-year-old house. It was an exercise in client empathy training. JL: How do you approach the blank canvas of a new project with a client? BW: It all starts with a thorough understanding of the site and the client’s programmatic goals for the project. We then discuss appropriate materials and review precedent images that we, and our clients, bring to the table. Our job is to synthesize these elements into a unique vision for the property that resonates on many levels. JL: Discuss the feeling that good symmetry and proportion offer. BW: Symmetry and well-proportioned spaces create a feeling of harmony that is almost always sensed, even if not consciously understood. JL: Your firm does quite a bit of work in Hawaii. How can the firm’s philosophy be seen through the lens of island life? BW: Understanding context in all dimensions is a universal principle of our practice. The tropical climate of Hawaii and the unique vernacular that responded to those conditions shape our approach. Buildings primarily provide shelter from the sun and the occasional rain shower. Rooms can be detached from one another and connected by paths in the landscape, which frame outdoor rooms in the garden. The lines of inside and outside are often blurred. JL: How does designing with pencil to paper connect you to your ideas? BW: Our brains are more directly connected to the sketching process, which is great for initiating the conceptual phase of a project or when working out some particular detail. Our teams at Walker Warner Architects are fantastic at using computers to develop those sketch concepts into architecture. JL: Do you have a specific creative process? BW: Yes, but it has evolved over many years of practice and it is hard to describe. The creative process is sometimes like a Zen Koan….you ruminate and iterate until the solution is revealed. "Understanding context in all dimensions is a universal principle of our practice." JL: What do you love about being a native and living in San Francisco? BW: I feel incredibly grateful to have been born and raised in San Francisco. It is an amazingly beautiful place located on the edge of the Pacific. There is a rich creative history in this city and our work draws from that legacy while interpreting that inspiration into an architecture of our time. JL: What do you go to rejuvenate your spirit and creativity? BW: To our retreat outside of Healdsburg or the mountains of Northern California. JL: Perfect weekend getaway from the city? BW: Hard to beat exploring some beautiful river with my fly rod in hand. BW: Mostly History and Biography. I typically have several books that I am reading and listening to on Audible while driving. One of my recent favorites was the “Invention of Nature” by Andrea Wulf. Operating from a brilliant light filled atelier in the San Francisco design district, Nicole Hollis imbues her designs with the sleek sophistication of a knowing and seasoned practitioner. 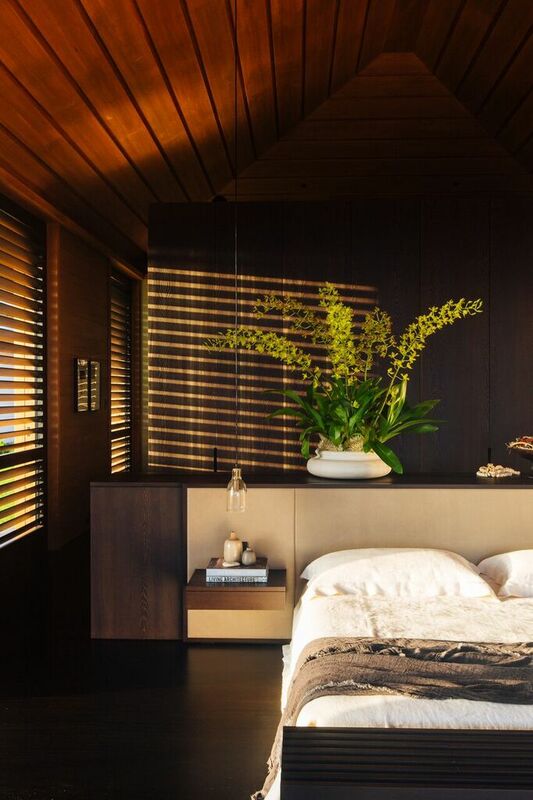 Whether gathering inspiration from the vineyards of the Napa valley or the tropical breezes of the Hawaiian islands, Nicole seamlessly blends the alchemy of site and design. I had the recent chance to catch up with Nicole in her brimming studio to discuss her tireless pursuit of inspired collaboration with her designers and clients and the inspiration she draws from her good fortune to live with her family in the former Pacific Heights home of Julia Morgan. Joseph Lucier: When did you know that interior design would be your creative path? Nicole Hollis: I was 12 years old and visited friends’ houses in Palm Beach. These beautiful interiors inspired me and I knew from that moment that I wanted to create unique spaces for people to live in. JL: You came out of Howard Backen’s office to establish your own interior design firm. What did you learn while working with Howard? NH: Howard can simplify the complex for any client with great charm. The flow of his residential spaces are inspiring and he is always thinking about the context of his architecture. JL: In the Napa Valley, seasoned locals say you have elevated the time honored Backen look. What do you love about working in the wine country? NH: We continue to be inspired by Howard’s architecture and interpret the interiors through another lens. Wine country mixes awe-inspiring terrain with pioneering attitudes. Napa Valley continues to integrate old with new in every aspect. This makes it one of the most interesting places to design. JL: Your husband, Lewis Heathcote, is your business partner. What surprised you about him when you two developed a professional relationship? NH: He and I have been working together for fifteen years so our working relationship has been evolutionary. My biggest surprise is how well we continue to bounce new ideas off each other. JL: What type of culture have you developed in your office? NH: We focus on a culture of “we” not “I”, so it’s collaborative and supportive working environment with clients, architects, contractors, artists, and craftspeople. JL: Who is you perfect client? NH: We’ve had a lot of really great clients that can give us a sense of what they think they’d like and then grant us the time and space to elevate that concept into something they couldn’t have imagined. JL: Do you have a creative routine or process? NH: I do and I don’t. My process is to keep breaking up the process so I can see everything from different angles and continue to be surprised. JL: You recently collaborated with Brooks Walker on a Tiburon home. [click for feature] What was your experience like working together? NH: The house is beautiful and stands as a testament to working with Brooks and his team. He truly understands how to listen to clients, collaborate with other parties and that the best idea always wins. JL: You and your family are fortunate to live in Julia Morgan’s old home on Divisadero Street. Does her spirit inspire you? JL: Where do you find inspiration for your designs? NH: The natural world is of great inspiration to me. I’m also constantly drawn to fashion design. JL: Who are your design idols? NH: We were married in Big Sur and it continues to pull us in. JL: When were you the happiest? NH: My two children honestly have excellent senses of humor so there isn’t a week that goes by that we’re not belly laughing with them. That’s hard to top. Many thanks to Nichole Hollis, Katherine Nelson, and Avery Carmassi for working with me on this feature! 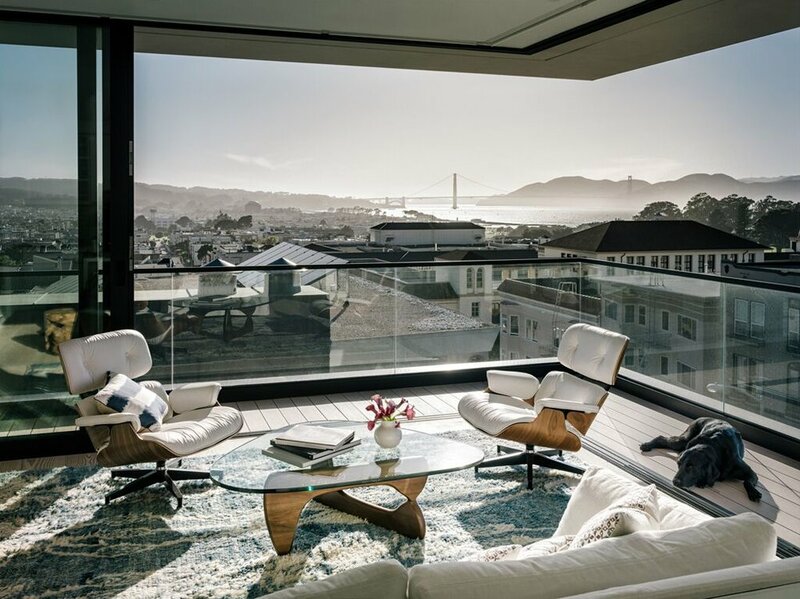 High atop downtown San Francisco's venerable Mills Building sits a sun drenched office where elegant designs are created for some of the city's most exacting residential clients. I first visited the offices of architect Geddes Ulinskas last year and was immediately taken by a model of a pool house that he was collaborating on with a Pacific Heights family. The sensitivity and the patience of making such a model made me realize immediately that in an age of CAD design and digitized reality, Geddes is a bright spot shining through to a bygone time where discourse and the flexibility of human touch still guides architectural decisions. 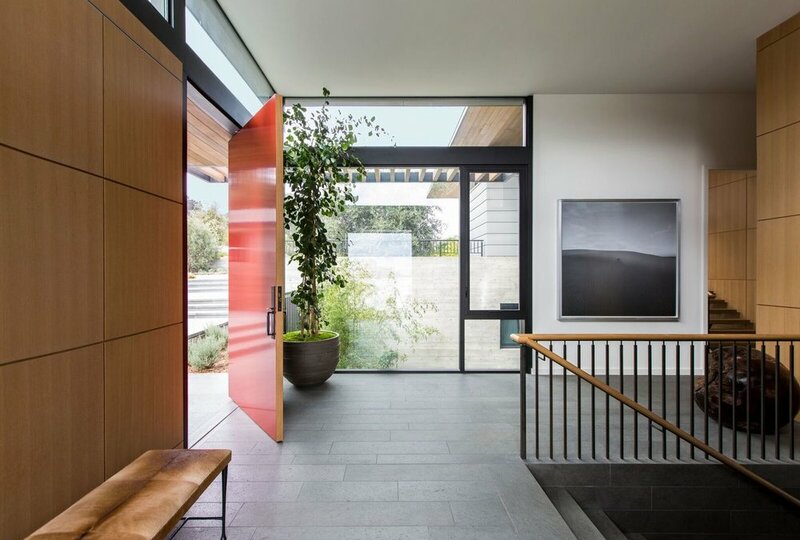 During his time working in the San Francisco Bay Area, Geddes has embraced a keen eye for classical proportion, engaged in spirited discourse with San Francisco's unique topography, and, ultimately, delivered his clients beautiful homes that offer them a sense of daily inspiration. Joseph Lucier: What was your path like to establishing a career as an architect? Geddes Ulinskas: Growing up, I was sure that I was going to have a career as a commercial artist or an illustrator. My aunt was a very successful illustrator and painter who trained at Pratt Institute in New York. Pratt held a merit based scholarship program for art and architecture. It was a national competition to gather the best students from all over the country. Somehow, I missed the deadline to apply for the art scholarship, but my art teacher pointed out that I still had time to apply for the architecture scholarship. I didn’t really know anything about architecture, but was told that if I got a scholarship to attend Pratt, I could always switch my major. I entered the architecture competition and was awarded the first-place full scholarship. I was so fascinated by architecture that I never switched my major and graduated from the program. Prior to establishing my own firm, I was fortunate to work with some international architects like Ricardo Legoretta and Fumiko Maki. I found these architects to be intensely creative and artistic in their approach to space. It reminded me that there shouldn’t be tangible difference between artists and architects. JL: You worked in New York prior to opening a firm in San Francisco. What are some of the benefits and challenges of working in San Francisco as opposed to New York? GU: New York is such a vibrant urban context to work in. There is nothing like it. 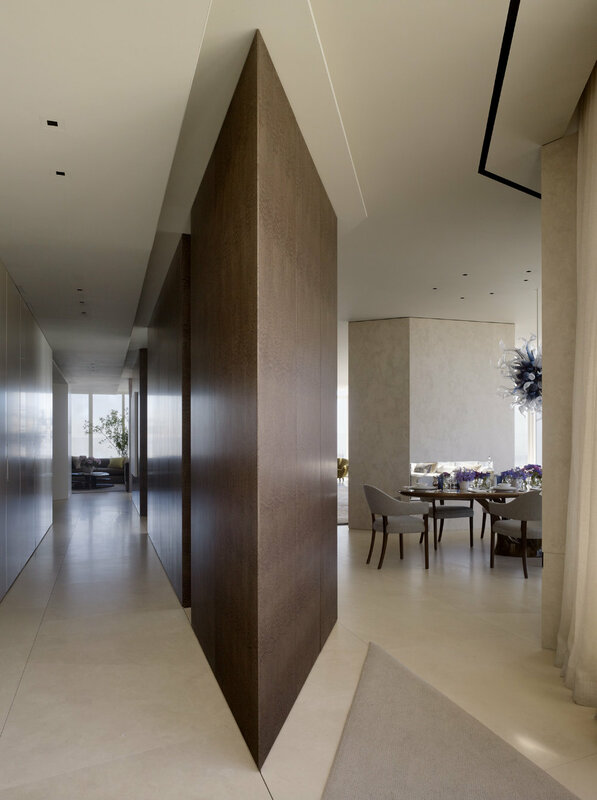 When you design in New York, you are always acknowledging what is near you and what surrounds you, but you are usually creating an inward focused space. San Francisco has such unparalleled topography and natural beauty; the architecture is much more outwardly focused toward views of the bay or the skyline. Because of all the hills and slopes, even back yards and basements have views. JL: Your offices are in one of downtown San Francisco’s most venerable buildings, the Mills Building (1890). What other public buildings in the city speak to you? GU: I love the Palace Hotel; the Garden court is a very magical space. The Frank Lloyd Wright building on Maiden Lane is a great gem. I find the Armory to be wonderful. One of the scenes of the original Star Wars was filmed there. It doesn’t get much better than that. "To draw and build by hand brings the team a more intimate understanding of the design. By designing with traditional methods, more unintended things happen, and that is often a good thing." JL: What are the things that anybody can do to make their home more livable? GU: The entrance to a house is so important. It sets up the feeling you get coming home. It reminds you why you love returning at the end of the day. It’s the transition from the outside world into your oasis. The front gate, the steps, the reflecting pool – if you can make that happen, it can be a daily ritual you love. JL: What signals a "dream client" to you during the interview process for a new project? 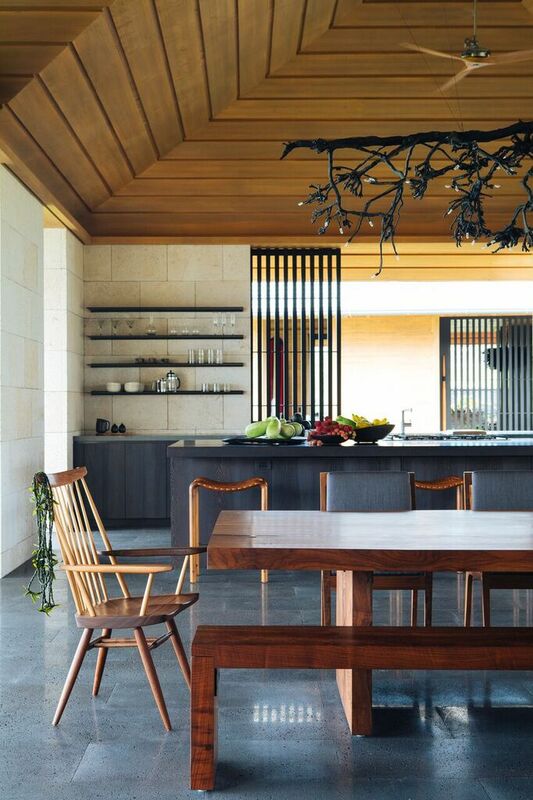 GU: A client’s art collection often can tell me that a project is going to be a dream project. The way a client has collected art, objects, and furniture signal a passion for design and craftsmanship. I can also build a plan around their art and understand their home as a space where they co-exist with the work they have collected. I love it when we finish a project and the client’s art and objects breathe life into the home. It is so wonderful to see. JL: I understand you engage in the more traditional design practices of hand drawing and modeling. Why is that important in a digital age? GU: To create a work of architecture is an intensely personal endeavor for the client. The architect is the client’s partner and guide in the process. To draw and build the design by hand just brings the team a much more intimate understanding of the design. I also feel that parameters get established very early on when working digitally, but when designing with traditional methods, more unintended things happen, and that is often a good thing. JL: You have had the fortune to work with some of the great interior design talents in the city. How did these professionals inspire you during the projects? GU: The designer’s I’ve worked with have developed an amazing sense of scale. They just seem to know the perfect proportion that an object should have and its relation to another object, and all this tells a story. JL: “Behind every great project is a great client.” What does that mean to you? GU: It means I’ve been lucky and I’ve had the good fortune to meet some great clients. I’ve learned a lot from the builders I’ve worked with. I have learned a great deal from the designer’s I have been partnered with, but by far, I have learned the most from my clients. JL: How do you refresh yourself creatively? GU: I often guest critique at CCA. To see students and the work they are doing is very inspiring. It helps me to understand the directions that design is exploring and gives me a glimpse of what the new generation of architects will be achieving which is very exciting. "I have learned a great deal from the designer’s I have been partnered with, but by far, I have learned the most from my clients." JL: What is your favorite color. Why? GU: Green is my favorite color. It is the color of growth and creativity. JL: Are you more of a dreamer or a practical person? GU: I would definitely say dreamer. I think every great architect is a dreamer, but a dreamer who is smart enough to surround himself with practical people. JL: Favorite neighborhood in San Francisco? GU: The Mission is such a great mix of old and new, of cultures and ideals. It is a place where people try things, some fail, some succeed. JL: In what international country or city would you like to go to study architecture? JL: Favorite thing to do on the weekends? GU: I love to get outside and do some watercolor on weekends. Dating back from the Caves of Lascaux and the fresco adorned ancient city of Pompeii to the more refined skills that ancient artisans employed using lacquer finishing and verre églomisé, decorative painting and finishing reflects the history that cultures had for story telling and beauty. 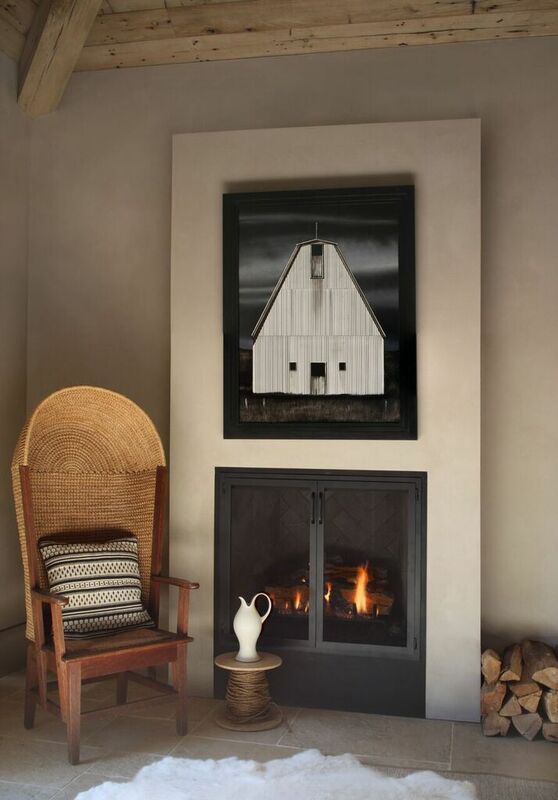 Willem Racke of Willem Racke Studios offers clients an opportunity to enter his world of time honored artistry to grace their homes with his fresh vision on traditional techniques. Sitting down recently with Racke at his production studio in the Inner Mission shed light on the creative talents of this master craftsman. CaenLucier: How did you come to the profession of decorative painting? Willem Racke: I fell into decorative painting. I decided to take a break from college in New Zealand to travel to the US and Europe for a 1 to 2 year trip. I lived in San Francisco for six months then went to New York with the idea of living there for a while, then moving on to Europe. I had a friend in San Francisco and she put me in contact with a friend of hers who lives in New York that happened to be a decorative painter who needed an assistant. I loved the work and was crazy about the art scene in NYC. That six months lasted over 3 years. I returned to San Francisco, started my studio and haven’t looked back. CL: If you could indulge yourself at home with your craft, which room and what type of treatment would draw your creative talents? WR: I have bought, renovated and lived in several homes over the last few years, integrating decorative finishing into every one of them. The building where I live now is an industrial building in South of Market, which I renovated into a sophisticated urban loft. The style is very contemporary and I've used decorative finishes throughout, subtle Venetian plasters, custom finished wood paneling, industrial metal finishes. I’m currently working on a mural for my powder room; it’s going to be silhouettes of trees in black-and-white. In my next house I would love to have a paneled library finished in eggplant color lacquer. CL: Looking back in history what examples of different cultures informing each other have been brought to your modern day craft? WR: I think people need to be reminded that decorative painting is the first form of art, man painted the walls of caves long before any of the fine arts as we define them existed. Decorative plaster, frescos and painting techniques all date back to Roman times and probably were established well before that. Many historic cultures were reflected in how they painted and finished their residences and temples, Venetian plaster is written about in Vitruvius's De Architectura, a 1st Century B.C. history of Rome. So nothing is really new, it’s all about a fresh vision for traditional techniques that suits the aesthetics of today. Lacquer finishing, as another example, is enjoying a revival today. The techniques for creating great lacquer are the same as the ones used in ancient China, we have modern tools and equipment to apply the materials but the hand sanding and buffing are all essential to a true lacquer finish. "I think people need to be reminded that decorative painting is the first form of art, man painted the walls of caves long before any of the fine arts as we define them existed. Decorative plaster, frescos and painting techniques all date back to Roman times and probably were established well before that." CL: What are a couple of centuries old techniques that you enjoy employing in today’s interiors? WR: I like subtle, tonal Venetian Plaster, it really elevates a neutral palette, we do a special Strata finish that goes from dark to light in a way that complements the interior furnishings. I really like Verre églomisé, a reverse glass painting technique that gives an effect that you can’t duplicate in any other way, it plays with the light in a room. CL: What would the powder room of your dreams look like? WR: I have always contended that if you are going to go wild, do it in the powder room. I have done many extravagant powder rooms. We did an all tortoise shell powder room in a Nob Hill a pied a terre, walls and ceiling and cabinetry that is just over the top. Recently, I completed a verre églomise powder room inspired by the post impressionist jungle paintings of Henri Rousseau, it was quite a feat of art and engineering to create and install but it’s spectacular. Another over the top powder room was for a young, hip couple. We did the floors walls and ceiling in op art themed polka dots that oscillate for a bit of a mind-bending experience. If you aren’t a bit stoned when you walk in you certainly will be when you walk out. CL: Have you seen any decorative finish in your international travels that you have developed to make your own? WR: The Tsarskoye Selo museum in the Catherine palace in Saint Petersburg is one of the highest examples of decorative finishing in the world. Every surface is decoratively painted or gilded or treated in some way. I was really impressed by the elaborate inlaid wood floors and I developed techniques to translate that look into stenciled and stained designs for wood floors. CL: Have you seen over the years your part of interior design work go through particular fads? If so what? WR: When I first started finishing in the 80’s the look was Memphis, lots of pastel blues, purples and greens. 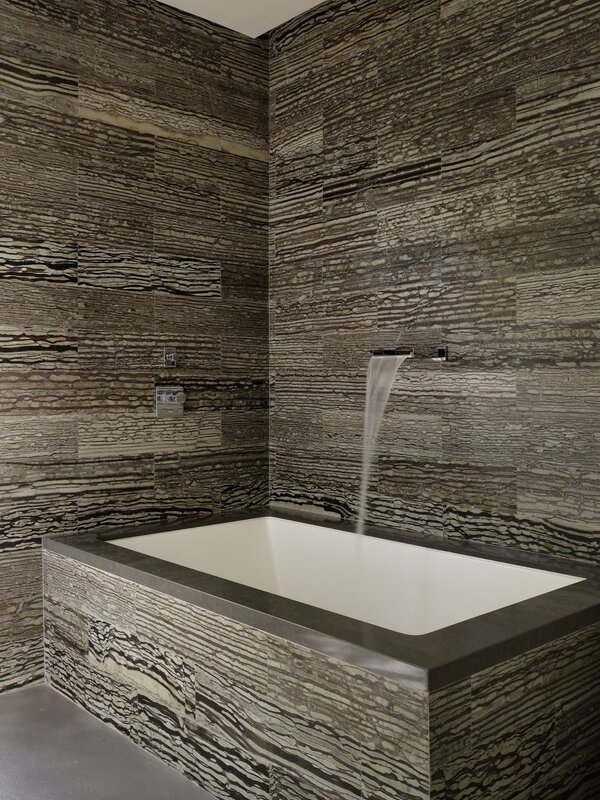 There was a lot of sea sponging wall finishes and faux marble was usually over the top. Now finishes are more refined and subtle, I mean we still do faux marble, we participated in the restoration of the Salon Doré at the Legion of Honor where we faux marbled the trim to match the real stone. CL: Do you have a particular finish application that is near and dear to your heart? WR: I am really liking verre églomisé these days, it’s a vintage French technique of reverse painting on glass that has a lot of visual impact when it’s done well. The jungle inspired verre églomisé powder room is a memorable room. I also love tortoise shell finishes, they can be so dramatic in the right setting. CL: Looking back on your career, what was one of the most challenging projects you were commissioned? WR: We did a Venetian plaster mural for Cushman Wakefield’s downtown headquarters that were designed by Gensler. The mural is a “snails eye” view of an office tower done in monochromatic tones of plaster and then incised to create a bas-relief. The geometry of the extreme perspective in different tones combined with the thousands of facets were a real challenge to execute but the final result was worth the effort. 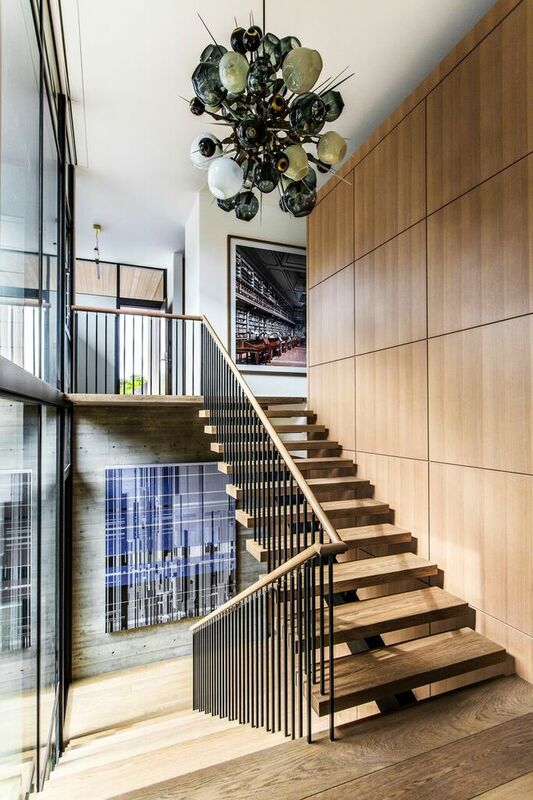 CL: How do you find yourself most often brought into a interior design project? WR: My projects are commissioned mostly through designers, architects and contractors, I also work directly with clients. I have worked to develop ongoing long term relationships with all my clients who rely on me for my knowledge, experience and sense of aesthetics. CL: Any particular designers that you enjoy working with/understand how best to implement your skills into a project? WR: I have had the opportunity to work with many of the best designers on incredible projects. I have worked with Jay Jeffers on many of his projects, his work is elegant and beautiful. I enjoy working with Kelly Hohla, she is a rising creative talent with a unique point of view. I love working with Darin Geise of Coup D’etat, he is a unique force in the world of bay area design, we have done wall finishes for the showroom as well as window displays. I have done projects with Peter Marino, an amazing architect and designer. CL: What is your idea of a perfect client? WR: The perfect client is someone who I resonate with on an aesthetic level. I like working with designers and clients who understand and respect the art and craft that goes into finishing. I have a lot of experience and expertise in the field and it’s always great to be able to work with clients and designers who know, for example, that I have an extensive reference library for research that centers on decorative arts, both historical and modern to resource from. I can do my best work when the designer or client gives me some free rein and likes to collaborate. CL: What is your favorite project that you are working on currently? WR: We are working on a project in Hillsborough with Kelly Hohla, interior designer and Richard Beard, architect. It’s a big project with great design and finishes; we have been working for six months producing samples and concepts. In one of the rooms, we are doing lacquer finish inspired by the 2015 San Francisco Decorator Showcase room I designed that has a muted, polychromatic palette and high gloss finish. We’re also doing a dark turquoise lacquer pantry. Subtle Venetian plaster finishes and custom wood graining and finishing are part of the plans. CL: What are you reading at the moment? WR: I’m reading The White Road: Journey into an Obsession by Edmund de Waal. The author is a ceramicist who specializes in porcelain. The story is about his travels to the “white Hills” of the world and tracing the roots of porcelain and how it became the refined art and collected thing it is today. The book was given to me by Ron Schwartz, my first client and now friend, who is a collector of fine porcelains. It’s really given me a respect for the art and it’s significance in history. CL: If you could choose another career what would it be? WR: I would be an architect. That was my original plan. I wanted to travel for a year or two then return to New Zealand to study architecture. Obviously, my life went in another direction. I am really happy though that my chosen career enables me to be a part of the world great architecture and design. CaenLucier would like to thank Willem Racke for all his time and amazing energy! Josep Lucier: How has being a professional architect enhanced your life? Lewis Butler: I like being an architect, and I’m going to do it for a lot longer. It’s a worn out expression perhaps, but no two days are the same and almost all of them are fun and entertaining. There are tougher weeks when we have lots of opposition to our projects and have to attend hearings, especially when they run after work hours. I like my clients, I like my employees, and I like most of the others that help us do what we do professionally. A great benefit to what I do is the intellectual dialogue that often accompanies the process. I end up in great conversations on various topics, and sometimes these conversations sail into uncharted areas. Just yesterday, a client and I were recounting the great Orson Wells movies both famous and lesser known, and we were trying to piece together what happened at the end of his career. I don’t know where that came from but it delayed the start of our meeting by a half hour! Today it was a conversation with a potential new client about how Crick and Watson used physical models to lead them to the discovery of the double helix structure of DNA. JL: Upon being elected as the chairman of the Department of Architecture at the Harvard Graduate School of Design in 1938, it is rumored that Walter Gropius proclaimed "Classicism is dead!" Do you feel your Masters of Architecture from Harvard gave you a suitable foundation to interact with the strong classical language of San Francisco architecture? LB: San Francisco is a very young city, and most of its Classical buildings were built when Frank Lloyd Wright was well into his architectural career. So the Classical architecture in this city was built at the beginning of the Modern Era, which can make working within the Classical context more difficult, not easier. Classical architecture in Rome or Paris is old, there is no question about that, which makes it easier to appreciate the contrast of modern architecture in its midst. The best example of that is the Pompidou center in Paris, of course. We find that our clients appreciate traditional architecture, but don’t want to live in a traditional interior. 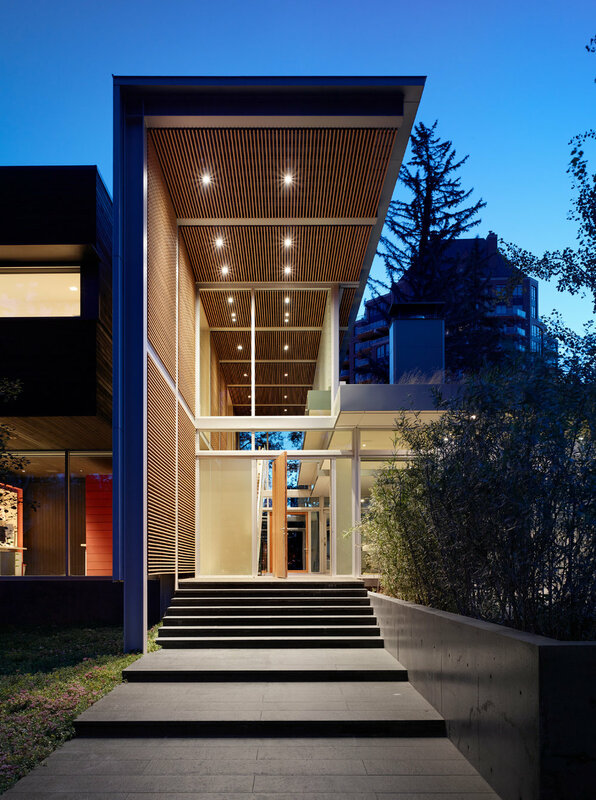 So we combine an aggressive approach to open modern living with traditional exteriors in many cases, and find that the two seemingly opposites are very compatible, and elevate the final product. We are also doing six new houses in San Francisco right now, and two new residential buildings. When we don’t feel that the existing architecture is good, we replace it with new, and that’s exciting. Where education enters this answer is that one has to know which buildings have merit and which do not, and be able to explain that to the Planning Commission in a persuasive way. We’ve never lost a hearing at the Planning Commission, and it’s our understanding of architecture and the city that has given us that successful record. JL: I am sure you have seen a lot of technology advancement in the course of your 30 years in business. How has this changed the way you work with your clients? LB: New technology for the most part stacks on old technology, with occasional casualties like the Betamax and fax machines. So we use every tool from hand sketching to complex 3D modeling programs to explore the architecture. We still build models too; there is no substitute for a great model. Different clients respond to different mediums, so we adjust our presentations to their preferences. I will say that my iPad is out every day. I keep a gallery of project photos in iPhoto, and show them to clients and employees all the time. JL: Do you miss your drafting table and straight edges? LB: Wow. Maybe the drafting table and straight edge is like the fax machine: we really haven’t used one in years! I suppose I miss the idea of it, but not very much. JL: What is the one tool you never leave your office without? Your iphone doesn’t count. LB: I don’t leave the office without a sketchbook, tape measure, trace paper, a scale, and spare fountain pens. JL: I am sure that every project is as unique as your clients and their needs. How do you like to start your relationships? LB: I’m very honest and up front with my clients from the first conversation on. If they are expecting something that is unlikely to happen, I let them know that. We live in a world where it’s rare that people tell each other what they really think. When you are very honest with a client early on in your relationship, it stands out. Most likely no one else has bothered to tell them the truth. JL: In a way, you establish mini relationships. Do you have a favorite story of a family that you helped? LB: I have many stories like this, but my favorite family story is when the kids of one of our past clients hire us to work on their house. It has actually happened quite a few times, and it’s great to get the perspective of the next generation as they become adults. JL: I cannot wait to read Catherine’s book Dream House! From what I have read, her passion for architecture and family is undeniable. Did she discuss her book with you while she was writing it? LB: We had many discussions about Dream House. After all, it was ten years in the making. Dream House is a novel first, and is about architecture second. The notion of architecture then occurs at many levels. The chapters begin with a quotation from various famous architects. The quotations have a lot to do with the content of the chapters in turn, and provide an “architecture” that structures the book. Then there is the house itself, which is described in detail. Since the protagonist Gina is an architect, there are great descriptions of the architectural process. Catherine has a passion for family and architecture, and that’s what drove her to write Dream House. Otherwise you can’t possibly create what she did, because writing a book is much harder than being an architect, much harder. JL: When you imagine your dream personal residence, what shape does the form and function take? JL: How would you describe the process of working with developers as opposed to end users on a project? LB: In the past we rarely worked with developers because they were frankly not interested in the architectural quality that we bring to an end user project. In the last five years that has started to change, and I think that the markets are starting to overlap for the first time. Developers are now understanding that the highest profit margins involve houses that have a level of quality that one would expect to provide for a discerning individual, not a mass market. So we are working for three developers now on single-family houses and two-to-six unit buildings. Our most exciting developer project is 115 Telegraph Hill, which is four houses on the last large empty lot on Telegraph Hill. Despite the fierce opposition that fought us for three years, we gained project approval and are going forward. 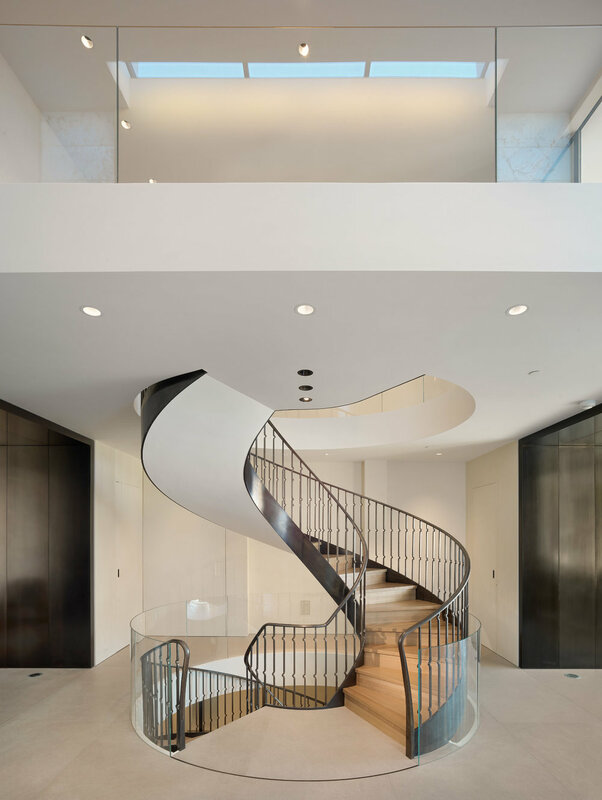 These houses are finished at the very highest end, and even include a car elevator that allows the vehicles to disappear underground, allowing more view opportunities for the rooms above. So the developers are really looking for the same thing from us as our individual end user clients, and that’s an exciting new market for everyone involved. CaenLucier thanks Lewis Butler for taking the time to share with our readers! Entering the home of The Wiseman Group along the northern slope of Potrero Hill is to be transported into a world of serene order and beauty punctuated by the ever warm greeting from the bespectacled master of ceremonies himself, Paul Wiseman. Before we sat down in the firm's project clad conference room, Wiseman indulged us in a tour of the firm's extensive design studios. During the past 30 years, Paul has become one of the most successful and respected interior designers in America. Architectural Digest’s special edition, “100 years of Design,” mentions Paul as one of the top designers. He has been widely published and over a 16 year period has been listed on the A.D. Best Designers list. Our look behind the TWG curtain tells a story of unrelenting precision and passion where the alchemy of Paul Wiseman and his creations live. CaenLucier: What do you consider "good" design? Paul Wiseman: Anything that is appropriate for its location, climate and use. Attention to detail and well considered options result in design decisions of the highest caliber. CL: How has your constant curiosity as a person kept your work evolving and fresh? PW: I am always curious and there are only two guarantees in life – death and change, so I might as well be curious about change. CL: How do you see your client’s process today in relation to the way clients and the process worked as you came to prominence years ago? PW: I think the internet has been a great benefit and also a great hindrance to our industry. The internet generation thinks that quality and appropriateness come with the push of a button. What we do is a process, not a product. CL: You are currently working with Richard Beard on a Joseph Esherick home in Hillsborough. How has your experience working with Richard on past projects and this current project been unique, surprising and professionally enhancing? PW: Working with Richard has been professionally enhancing due to the fact that we are both well-traveled, with our focus based upon the love of architectural history and cultural references. This also enriches our relationship with clients by offering our special and unique talents within the design process. Working with a great client and a talented architect like Richard reinforces my belief in the collective creative process. It’s a wonderful synergy! We also share a wicked sense humor. CL: How have your travels trained your eye? PW: I was very fortunate to have lived abroad twice in Australia and France and have the opportunity to have extended travels around the world before cultures became more homogenized. Combined with my general curiosity, it allowed me to have a very deep dictionary of cultural cross references. "The internet generation thinks that quality and appropriateness come with the push of a button. What we do is a process, not a product." CL: Have you ever traveled with a client for collective inspiration for a project? PW: I have numerous times over the years. In one instance even before the house was built, I went on a buying trip to London with our client. We really bonded around discovering four 18th century chimney pieces that set the tone for the entire design of the home. The soft limestone-not marble-suggested a relaxed palette for the décor. We were so lucky to find them; I have never seen that quality since. CL: Working with a variety of clients’ personal aesthetics and different property locations, is there a Wiseman touch that is a common thread throughout these homes. PW: Every client is different. What I hope to achieve with every project is to get the client to connect to the architecture and location based upon their own personal preferences. Good taste comes in many forms and it is my job to be the guide. CL: You lived in a very formal residence on Nob Hill prior to your current residence on Belvedere Island. How have each of these residences been a reflection of the same person? PW: The city apartment formally provided a great backdrop for that part of my life that was much more social. In order to maintain my creativity, the older I get the more I must have sacred space to rejuvenate that creativity. Belvedere provides a perfect venue – I can garden and cook and still entertain, but at a much more relaxed pace. CL: What is your favorite color and why? PW: Most shades of yellow and green, because they remind me of nature. "We have had clients that became serious students of the architectural styles and design motifs we chose for their home. Armed with the knowledge and possessing great creativity, they put their stamp on the project and made it their own." CL: How would you describe your "dream client?" PW: Intelligent, curious, kind and respectful. We have had clients that became serious students of the architectural styles and design motifs we chose for their home. Armed with the knowledge and possessing great creativity, they put their stamp on the project and made it their own. CL: What is your favorite project that your firm is working on at the moment? PW: All of my projects are favorites, but the most unusual is the Frank Gehry house that we are currently working on. It is Frank’s first residence in 25 years and his first residence in Northern California. CaenLucier would like to thank Paul Wiseman for all his time and amazing energy! We would also like to thank Layne Varholdt and Kevin Peters of TWG for their organization in helping us produce this feature!